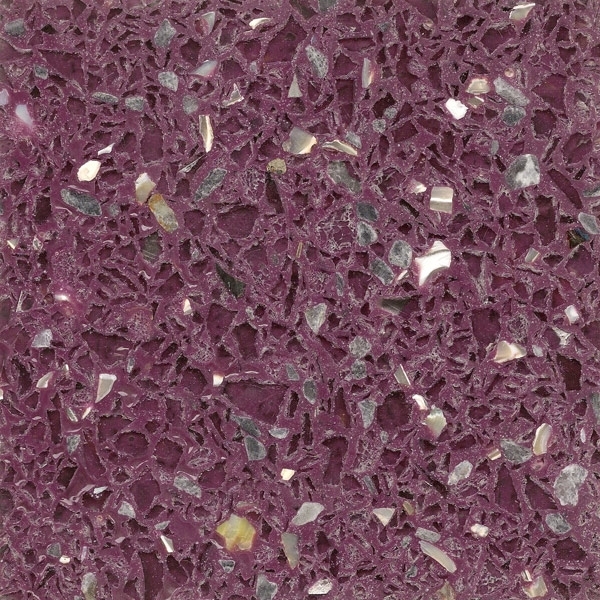 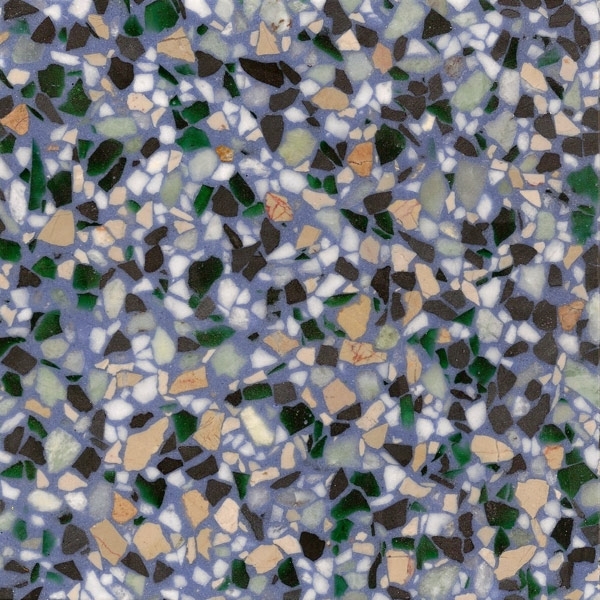 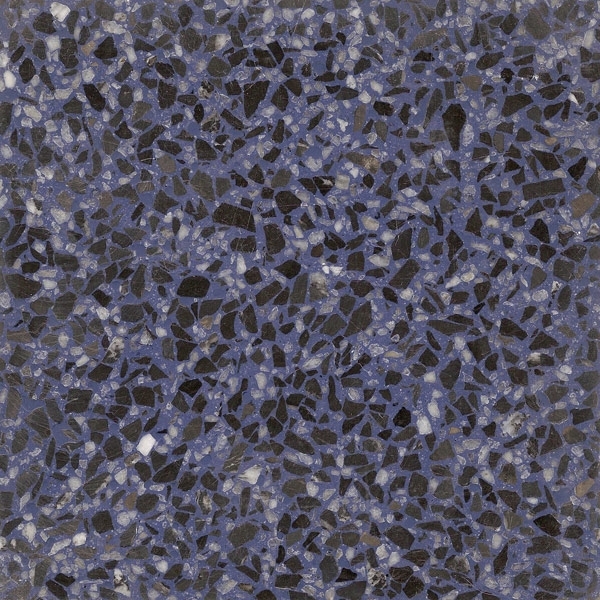 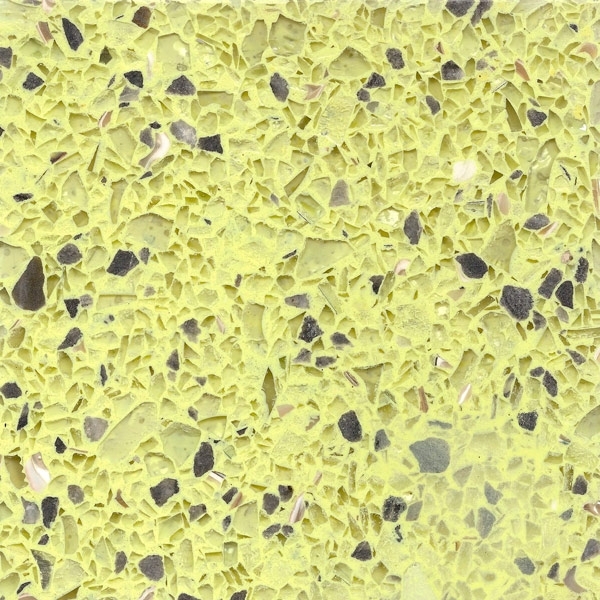 color design combinations of standard and custom colors resulting in a unique terrazzo floor. 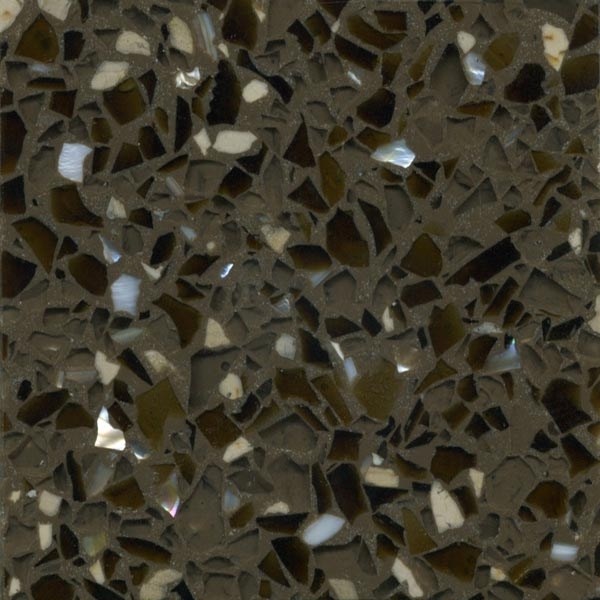 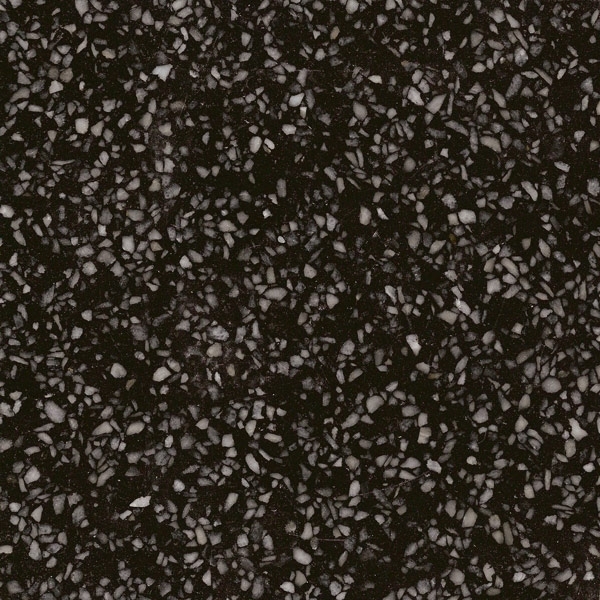 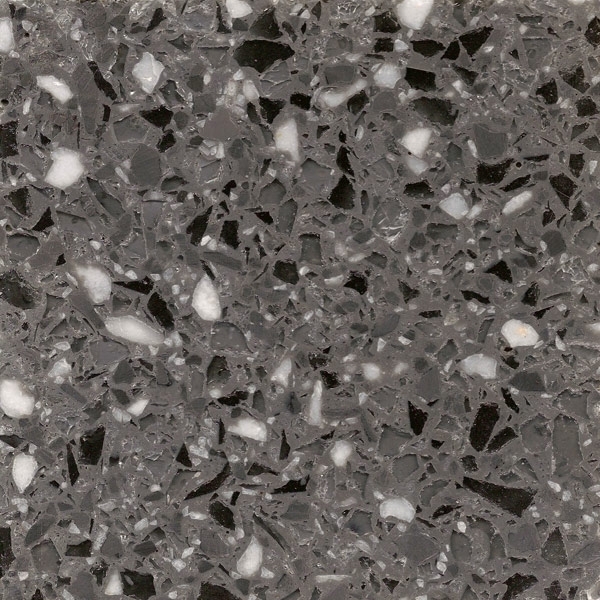 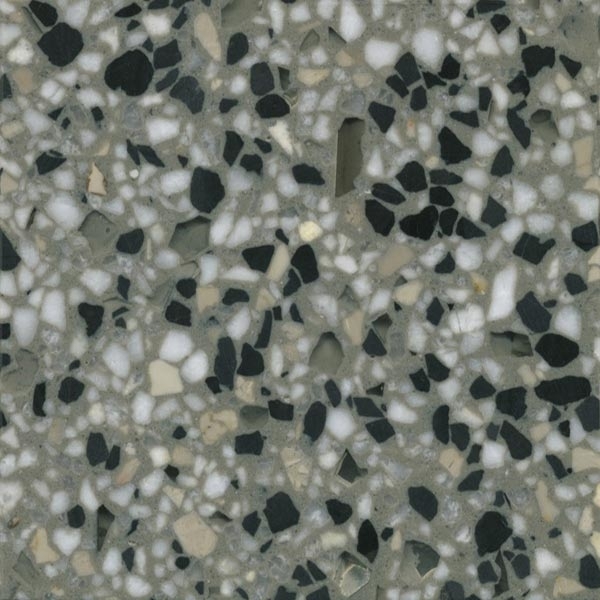 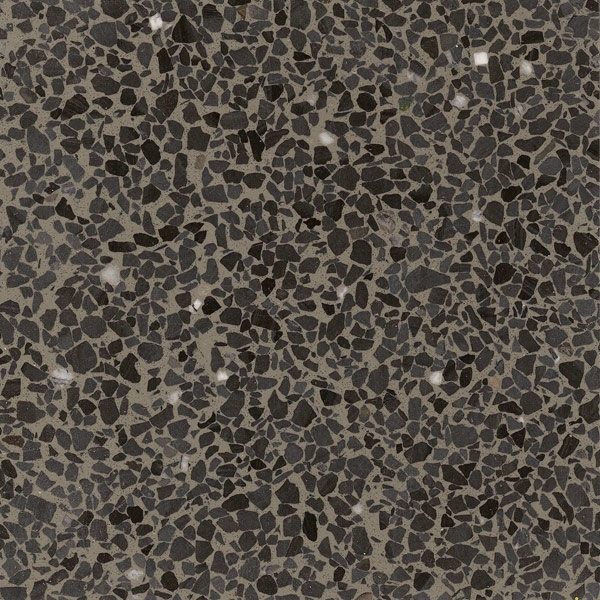 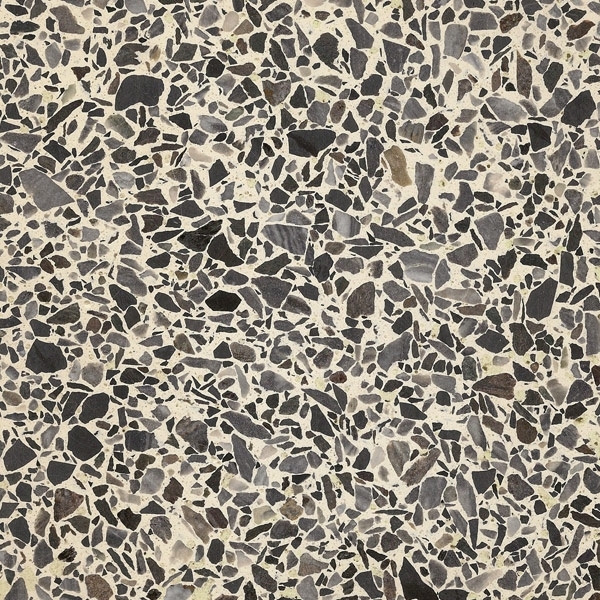 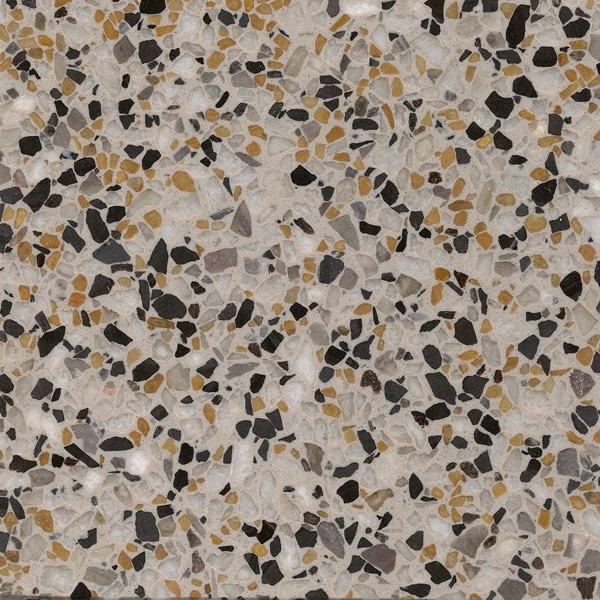 Master Terrazzo offers both standard (pre-made) and custom hard samples. 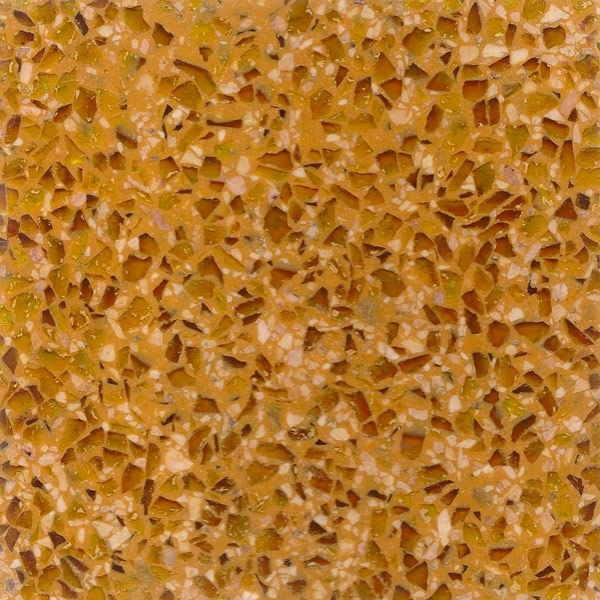 Each of our hard samples is created from a selected epoxy matrix color mixed with various aggregates. 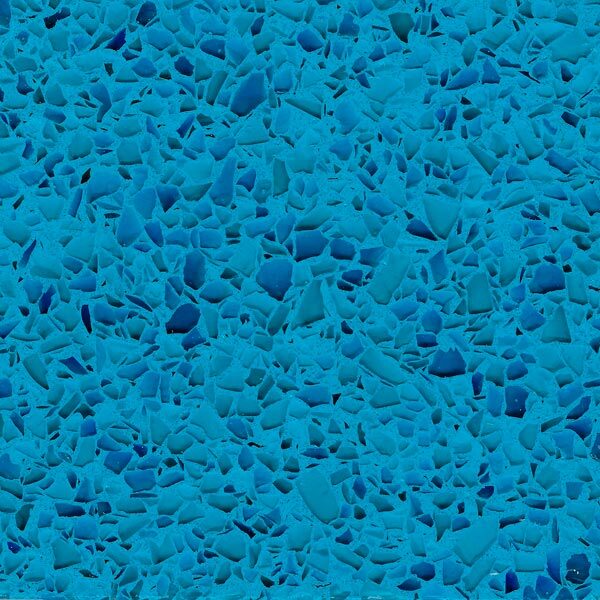 The possible combinations are infinite. 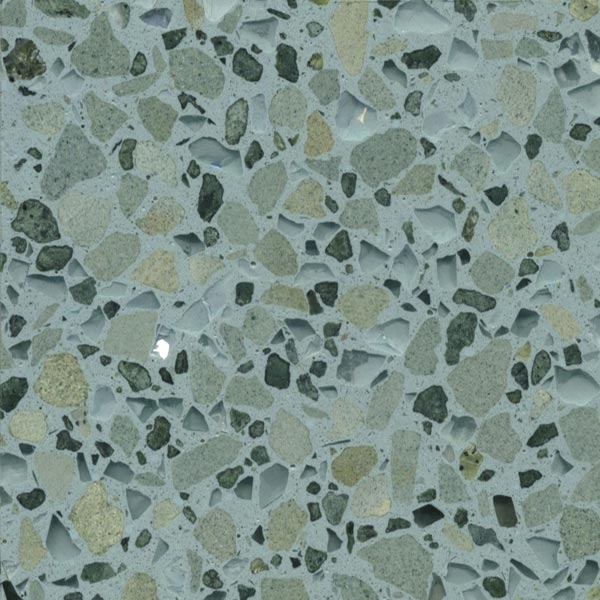 These are custom mixed, poured, ground, polished and sealed to meet each designer’s specific requirements. 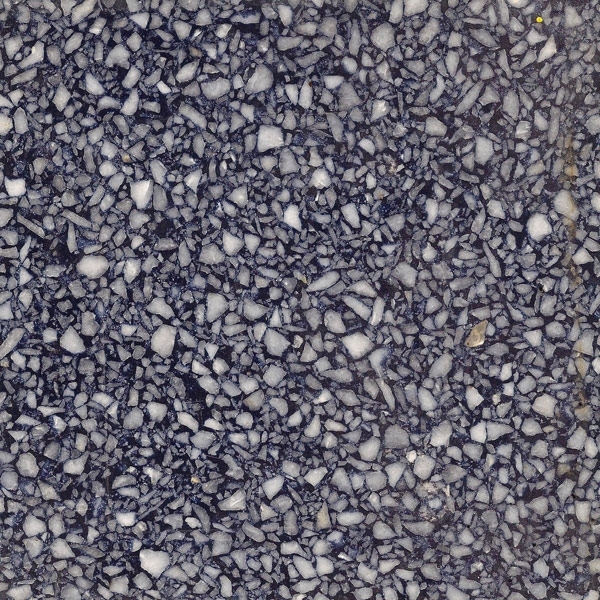 Examples of standard samples from our collection are shown above. 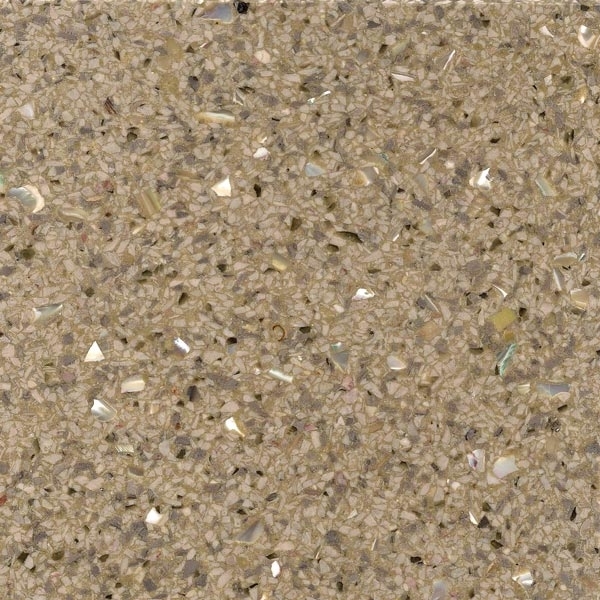 These can be requested by number and are shipped directly for your review. 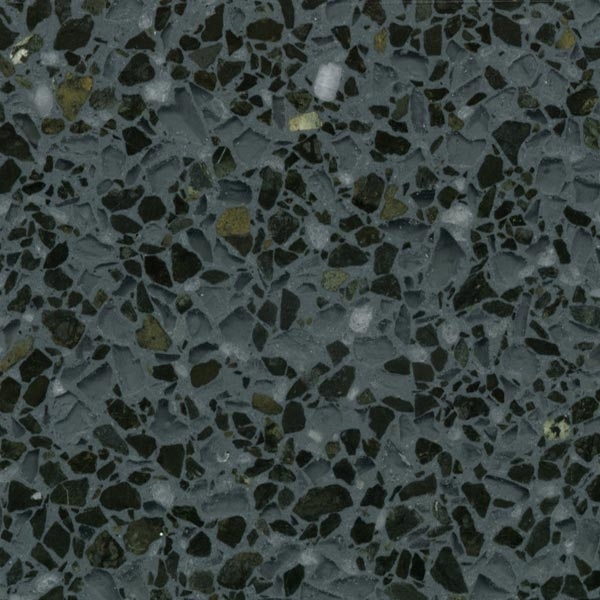 Our standard samples are made with a 200 grit finish and sealed with two coats of water-based sealer. 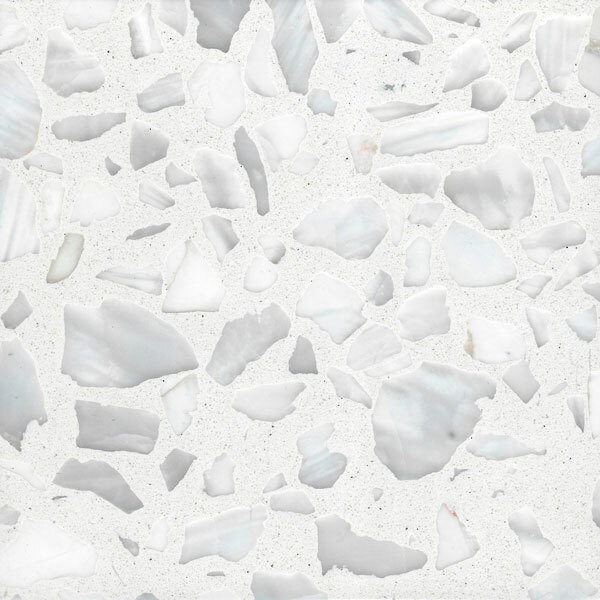 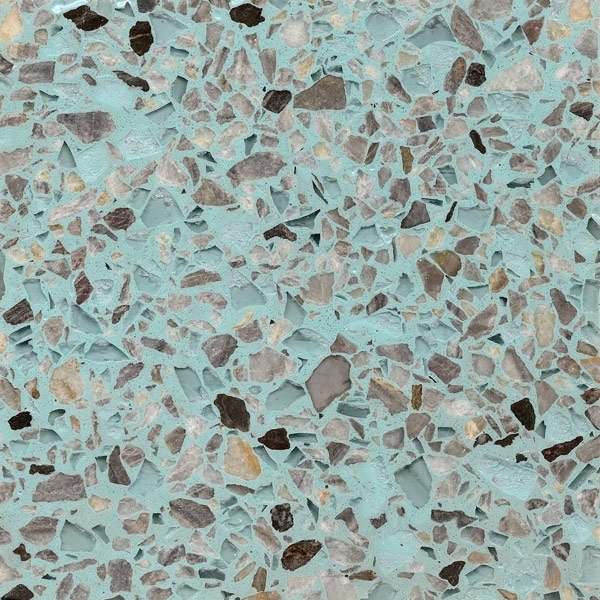 For custom samples, the designer can select both resin color and specific aggregate selections in size and materials, and choose from our finish options. 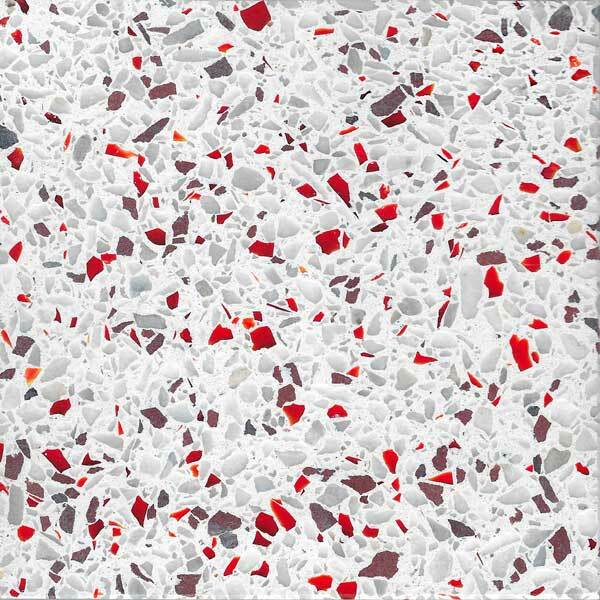 Master Terrazzo Technologies also has the technology and experience to replicate designs from existing installations. 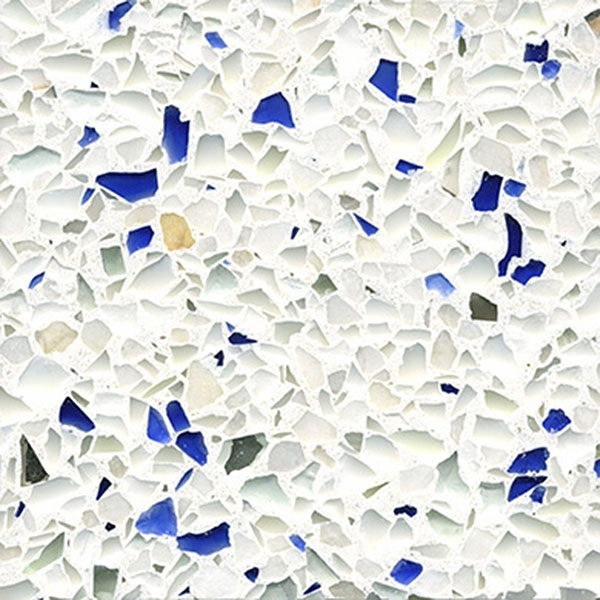 Contact us for more information about matching existing work. 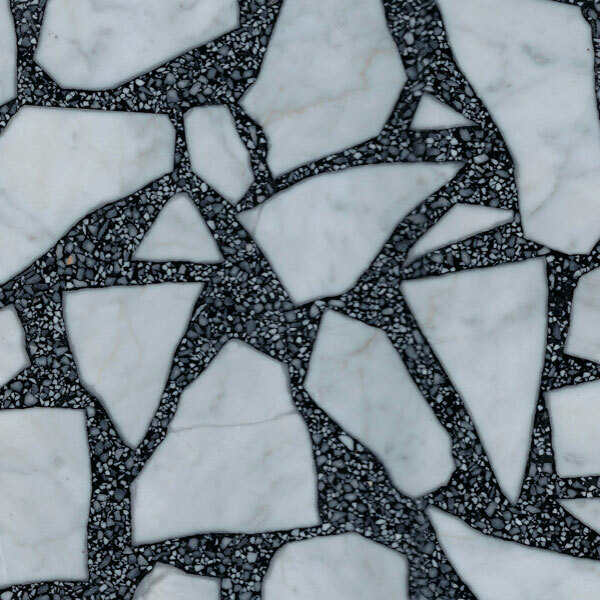 You may request samples from our extensive collection — just complete the form on this page. 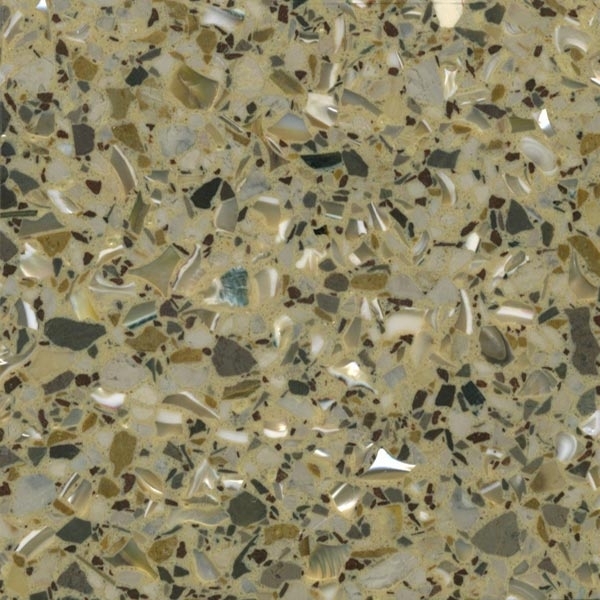 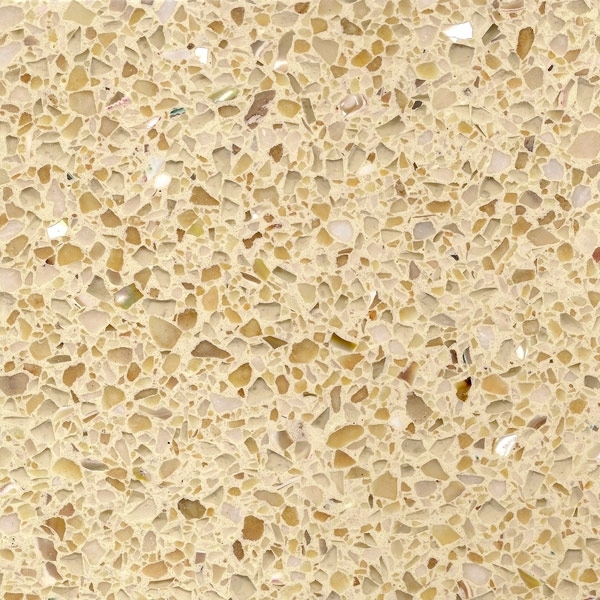 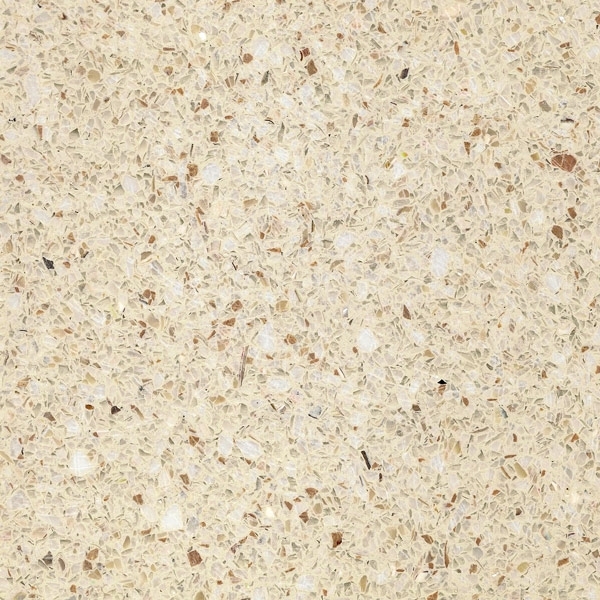 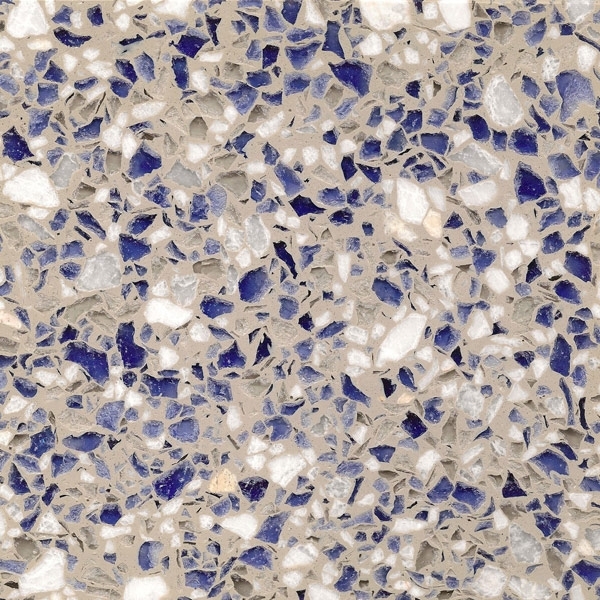 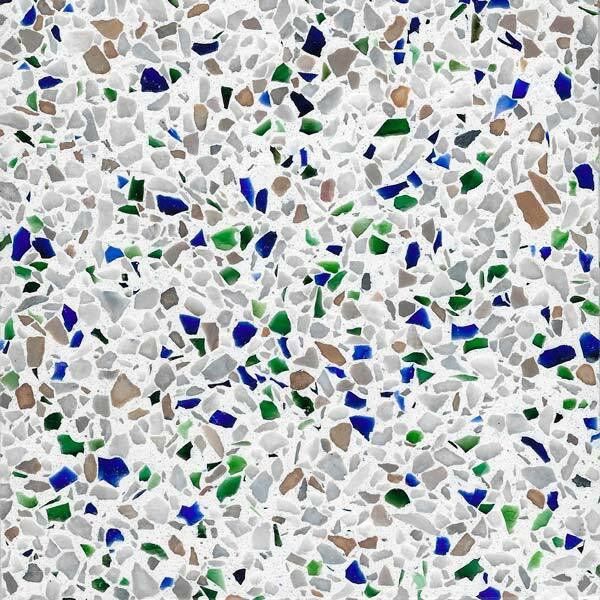 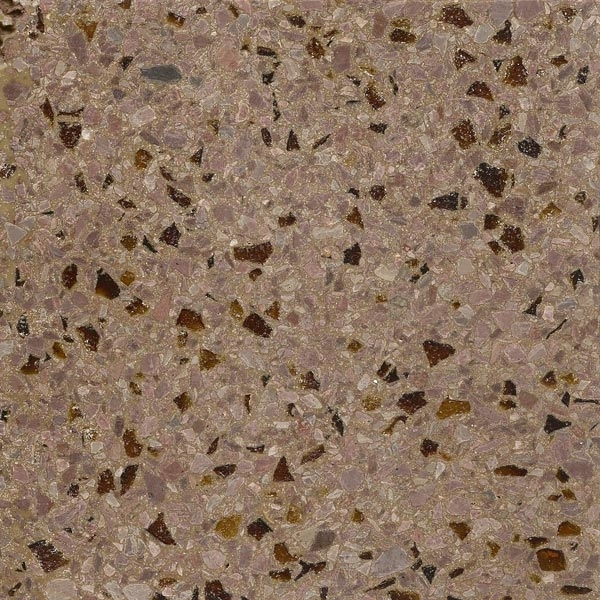 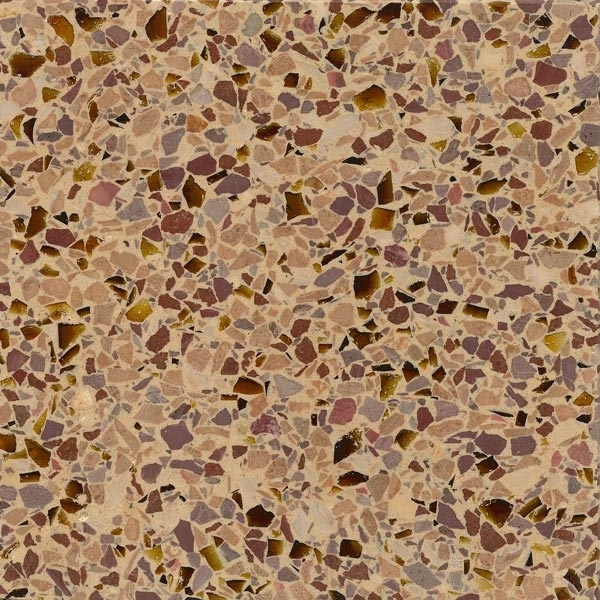 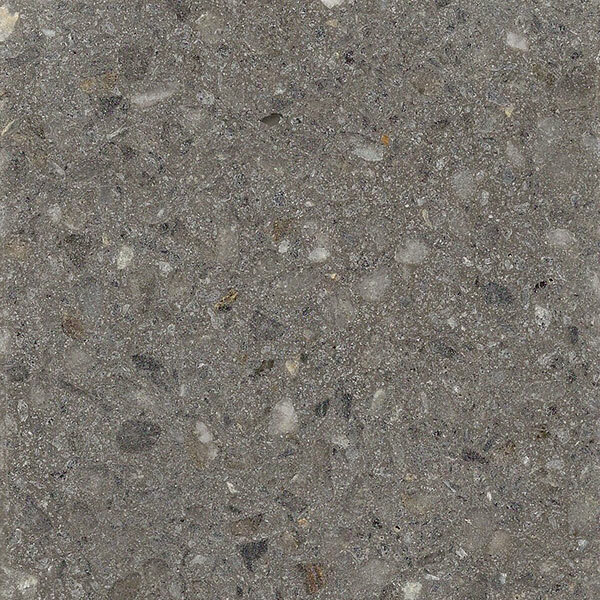 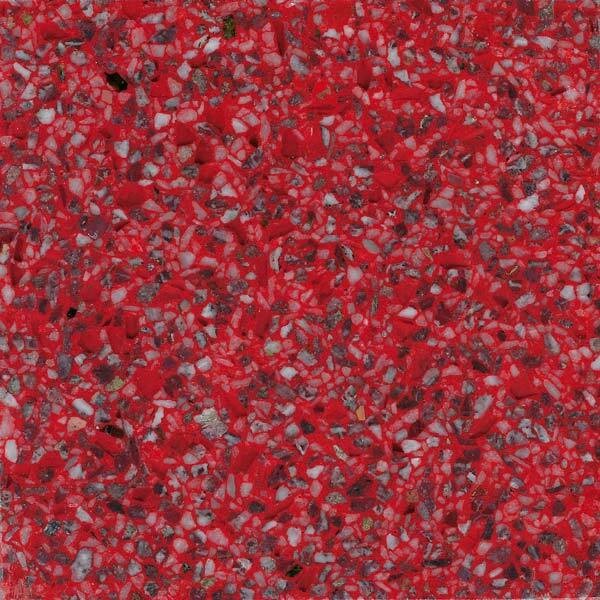 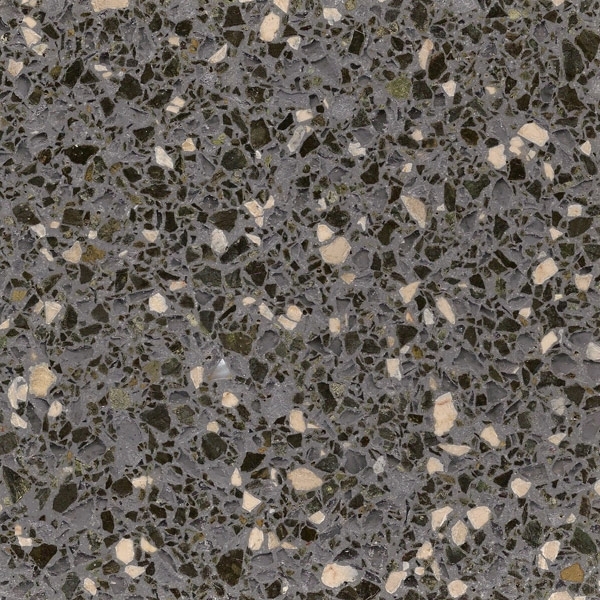 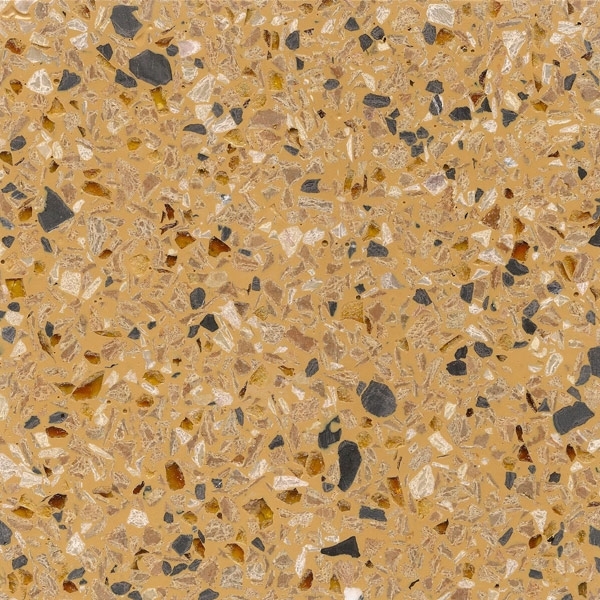 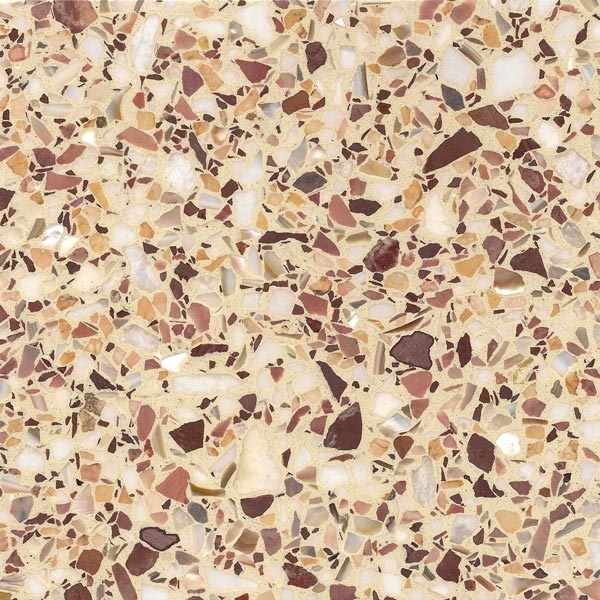 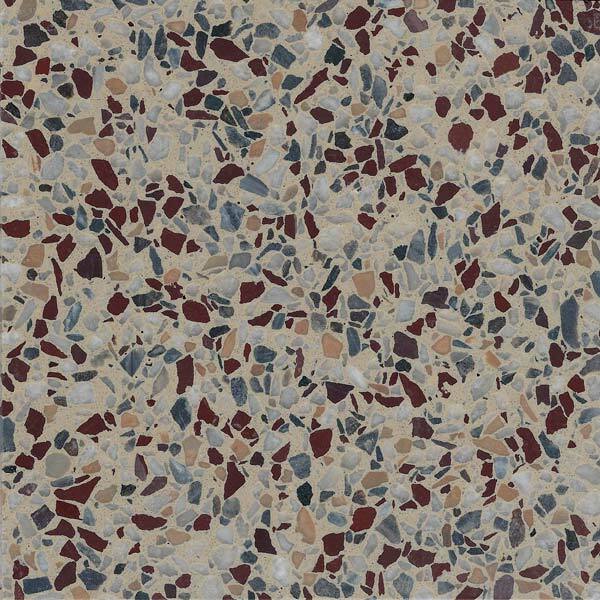 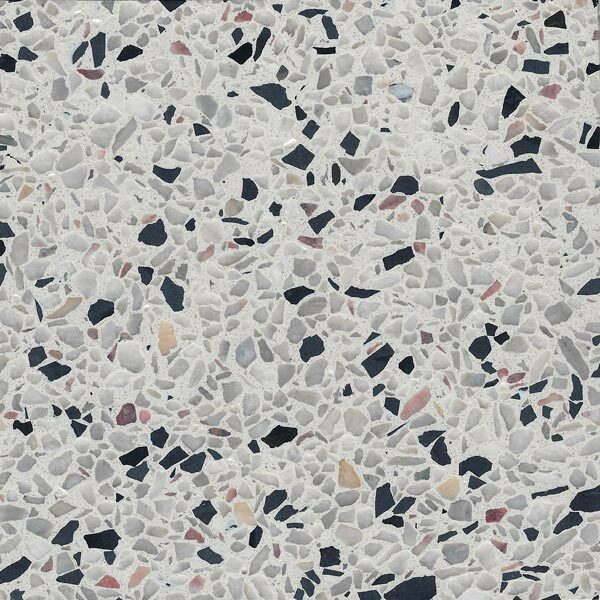 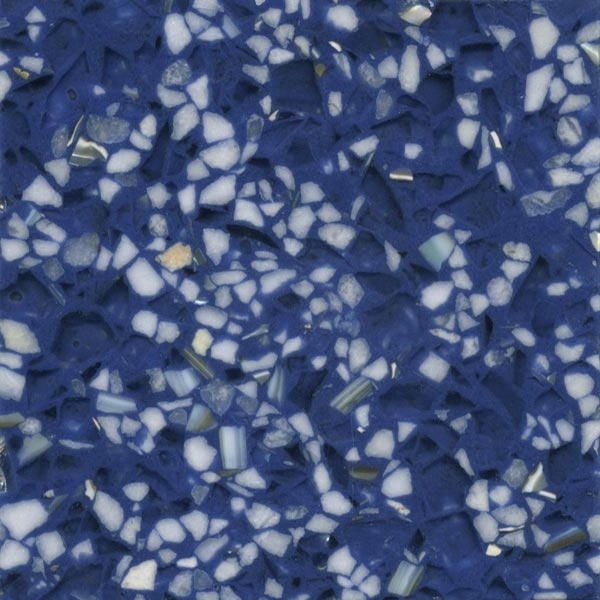 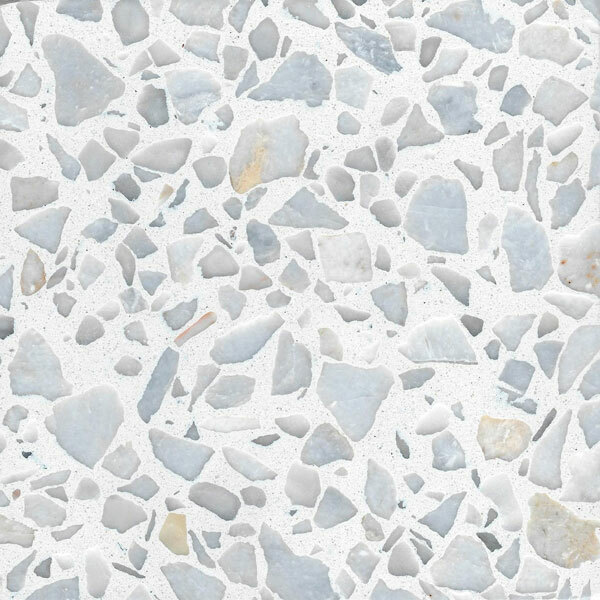 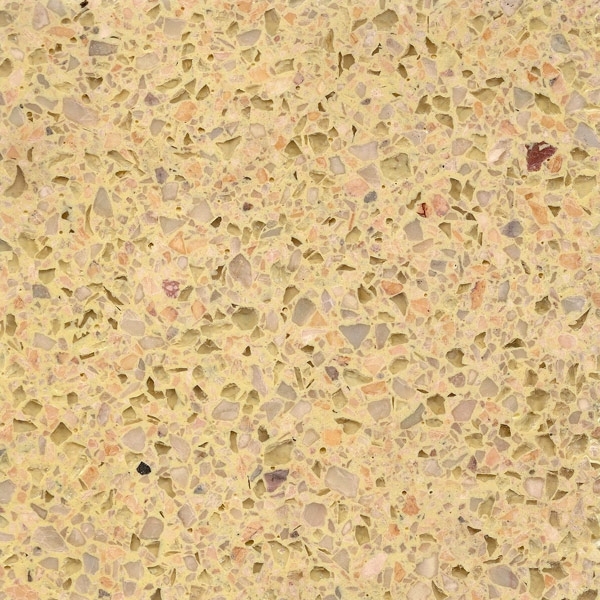 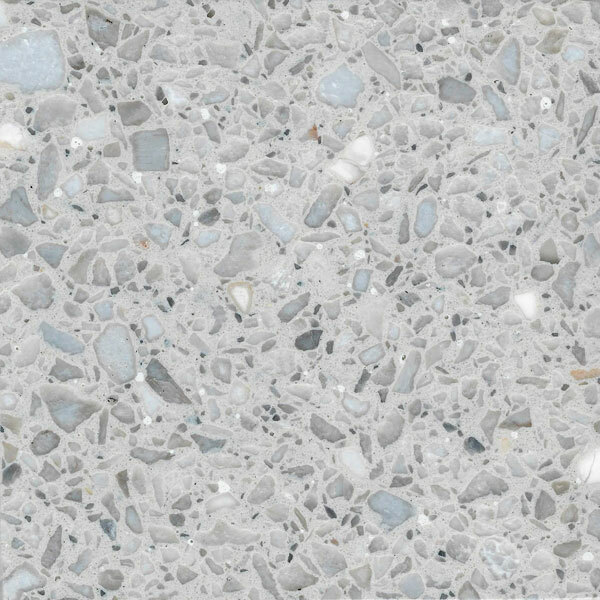 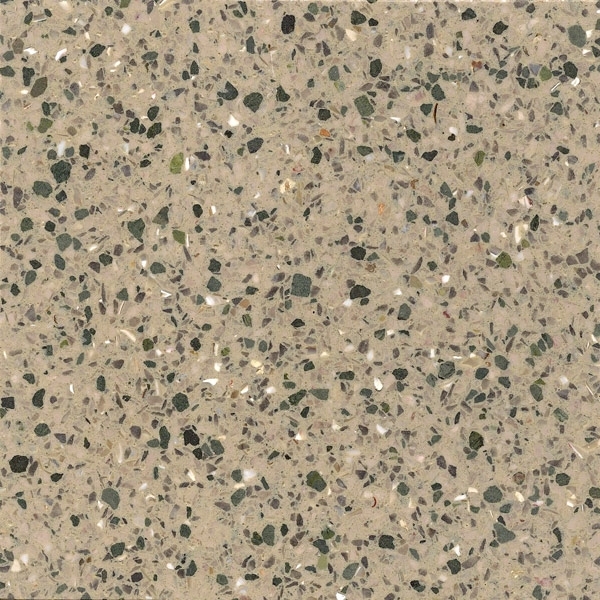 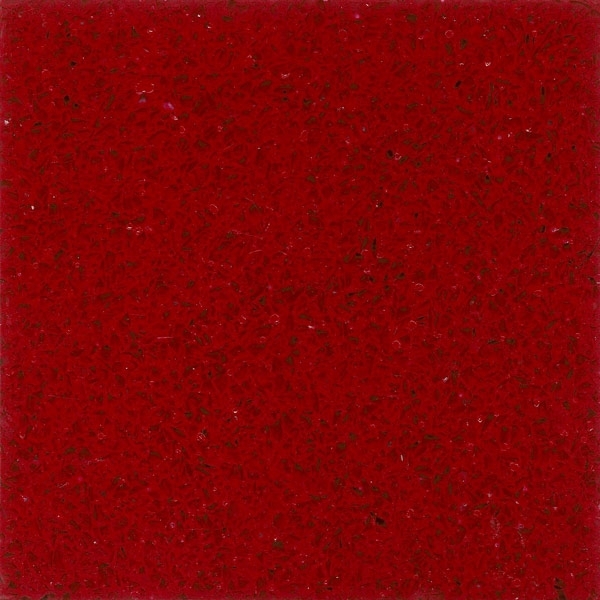 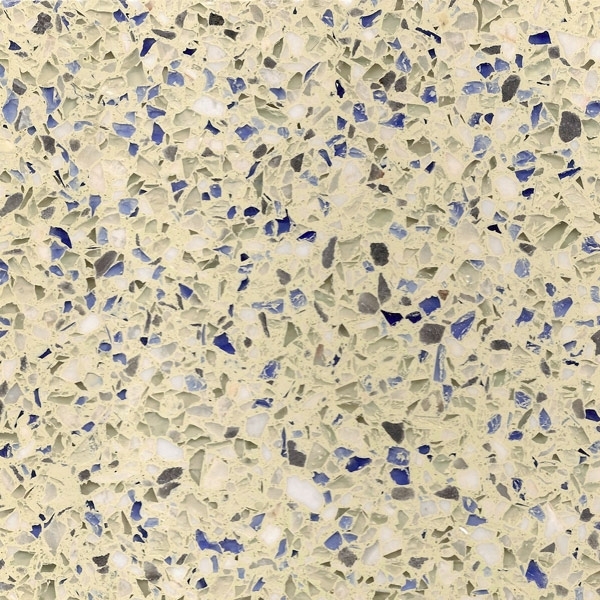 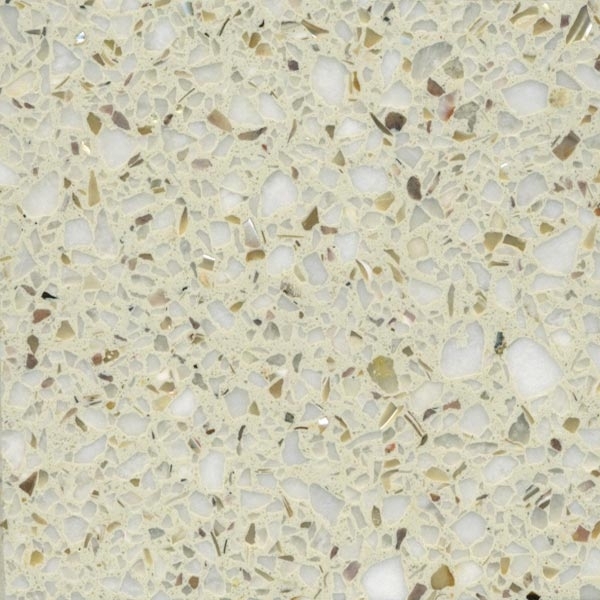 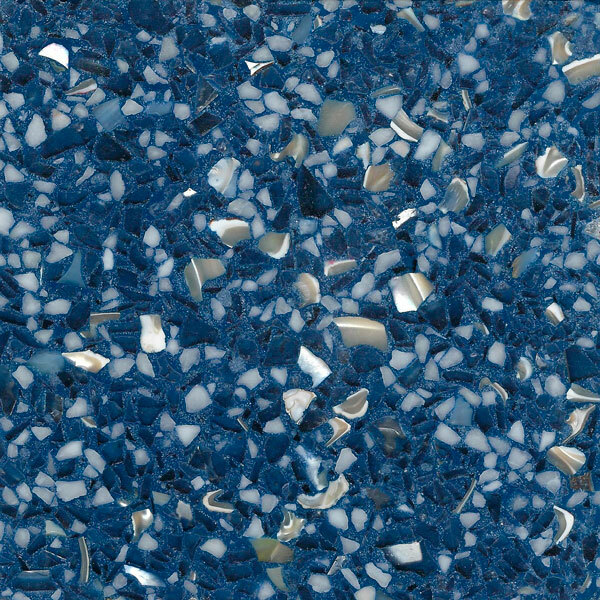 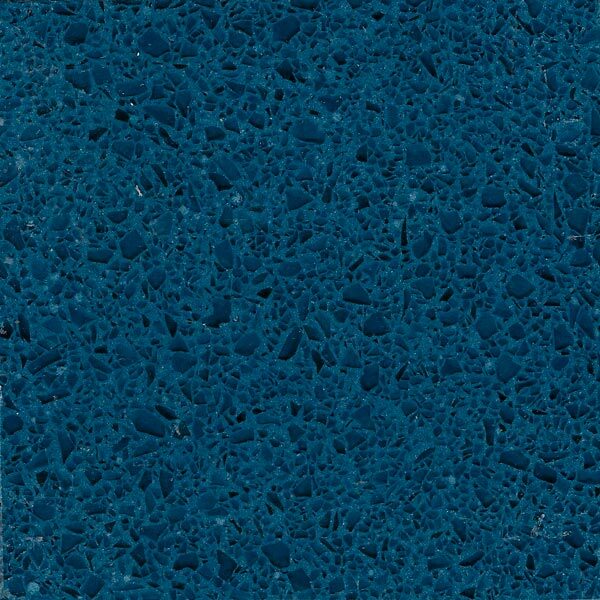 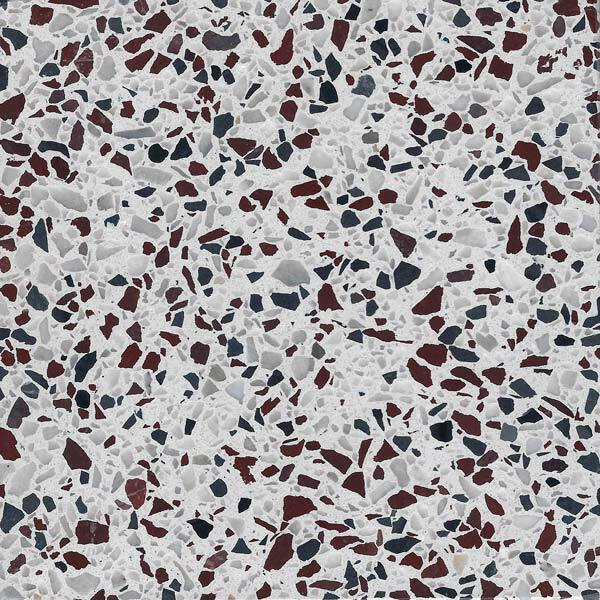 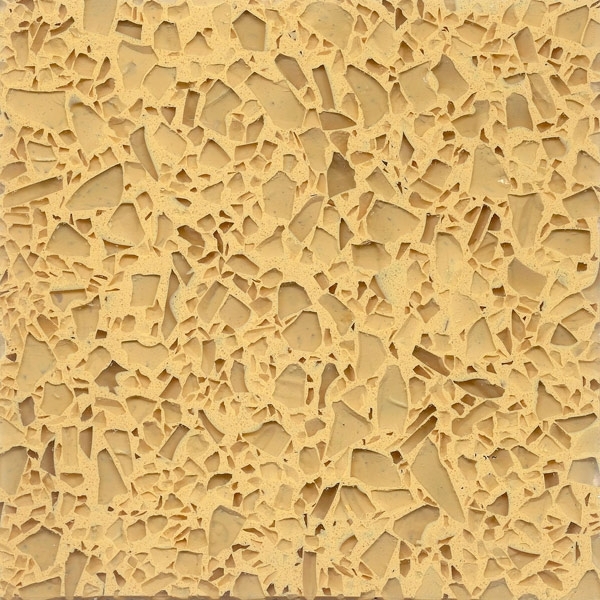 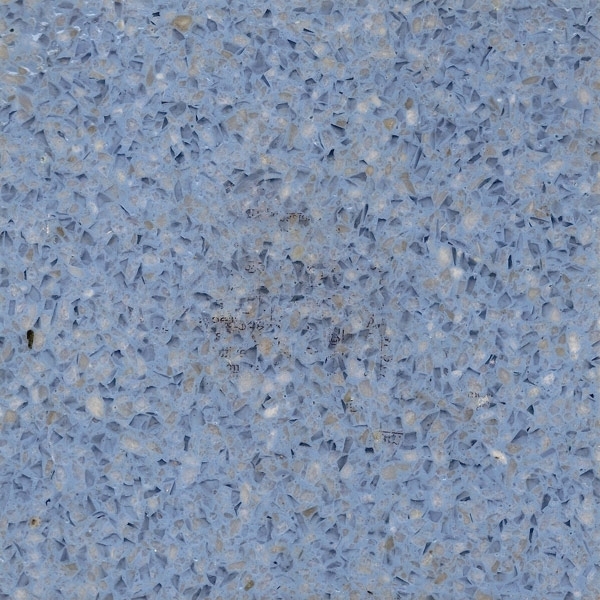 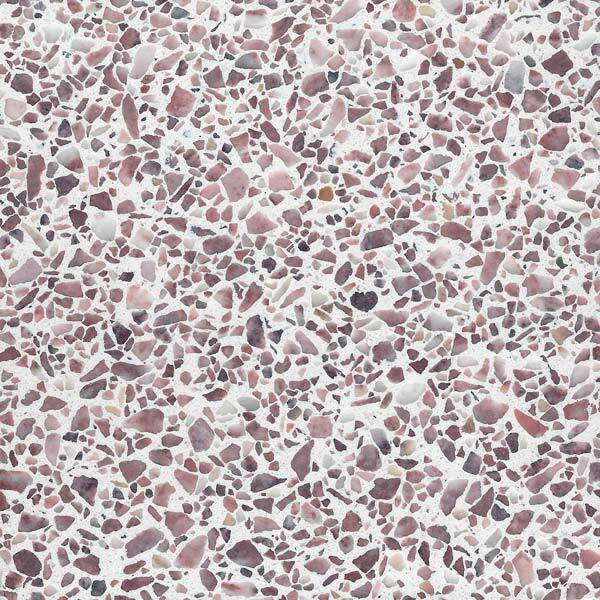 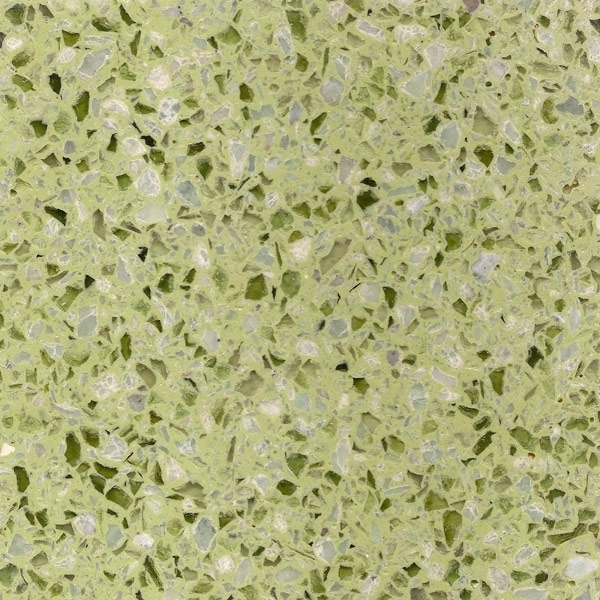 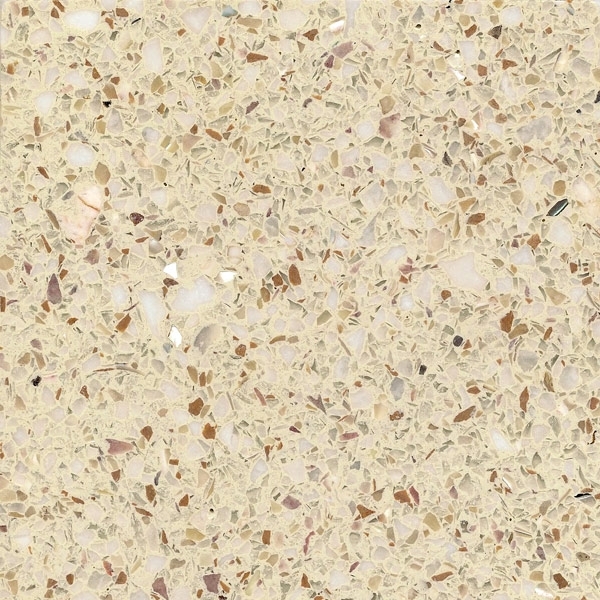 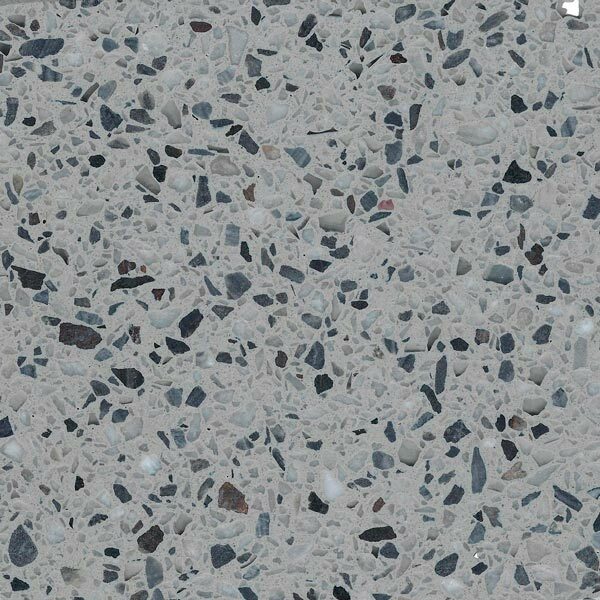 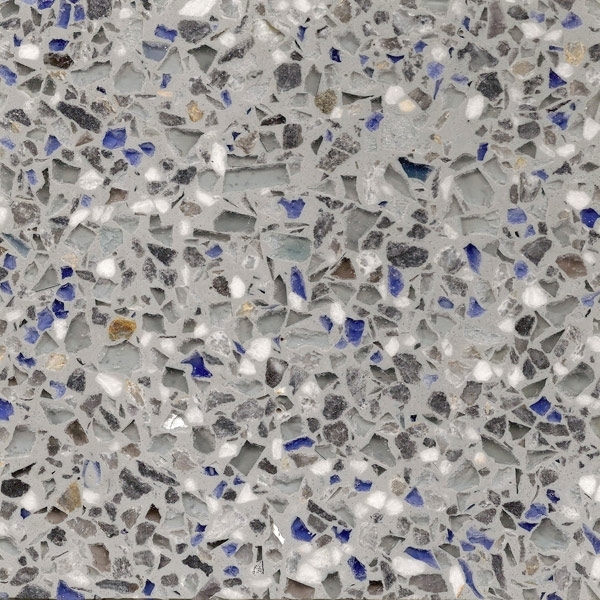 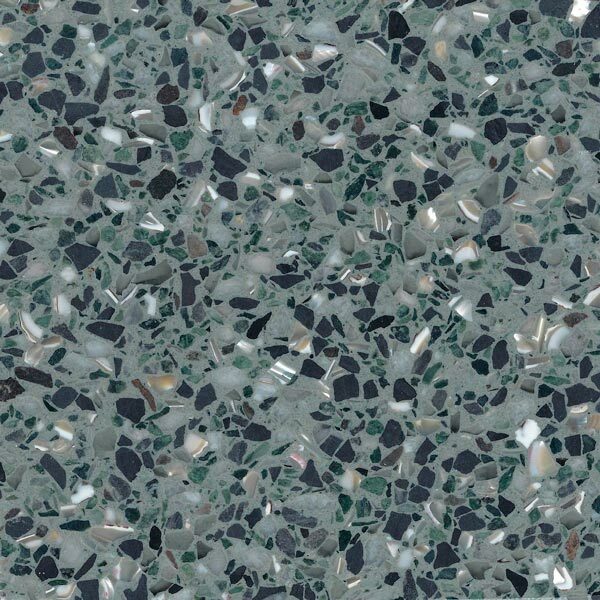 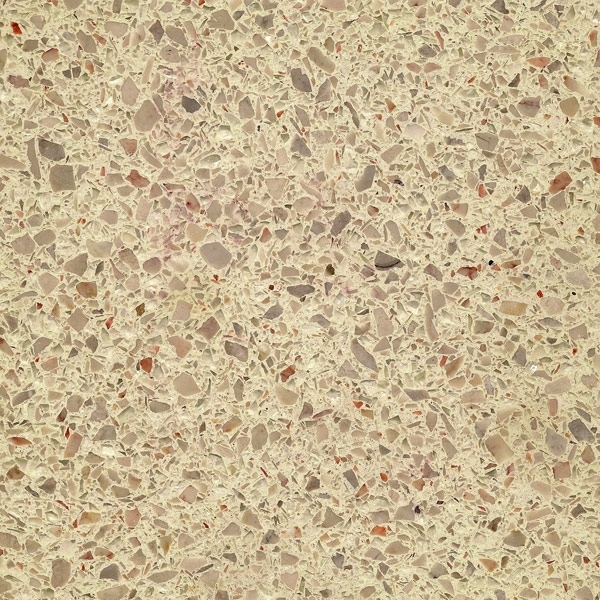 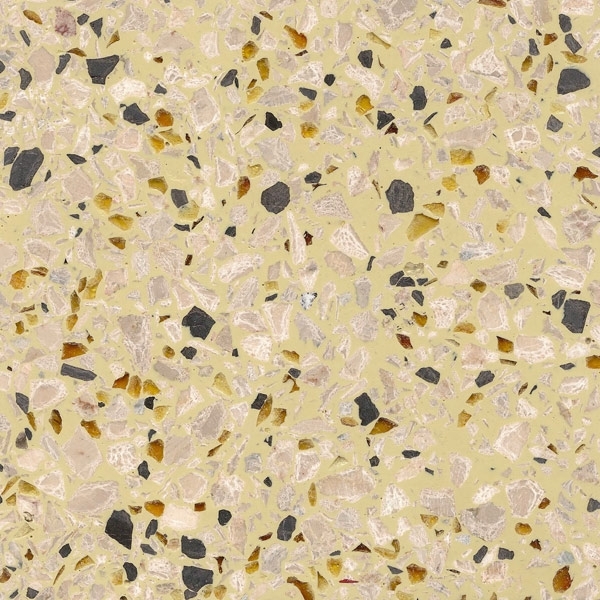 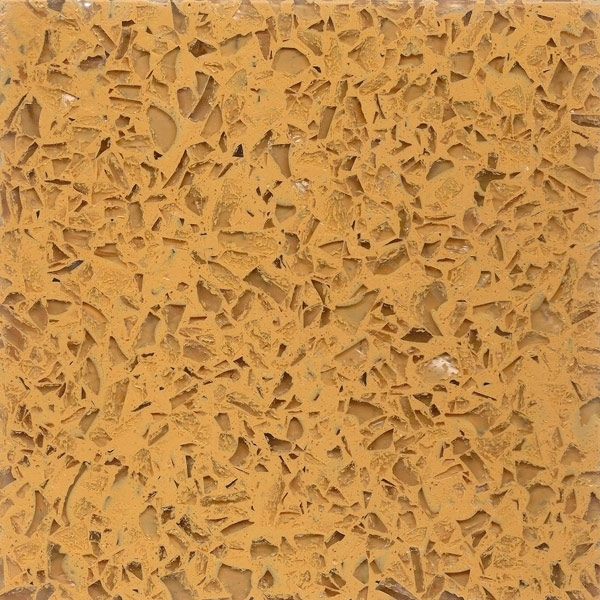 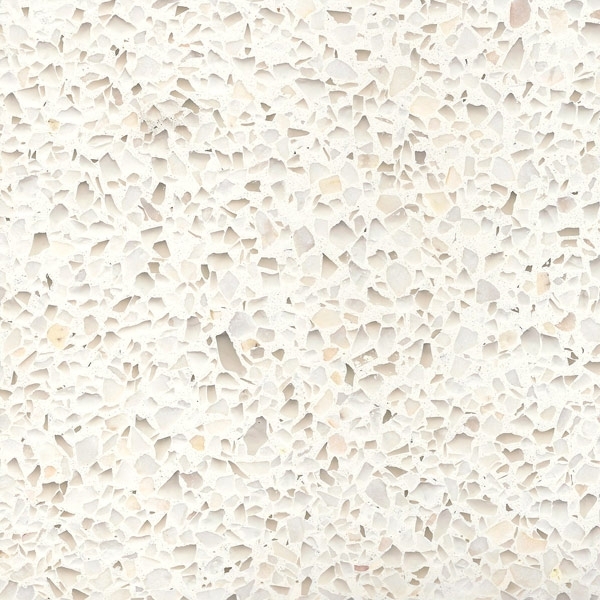 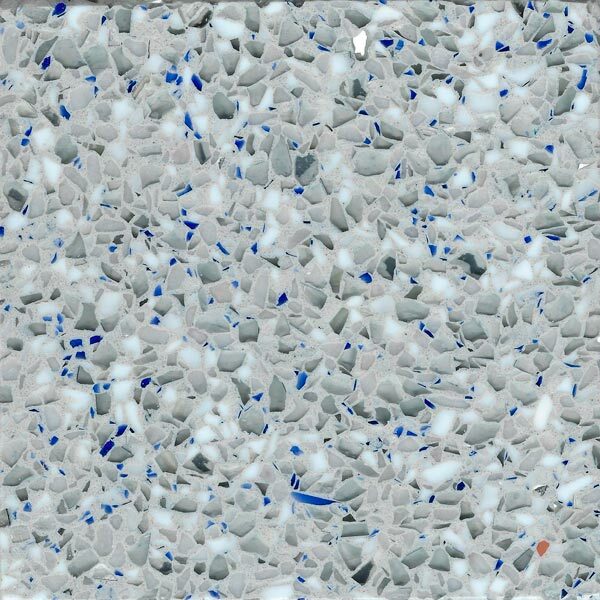 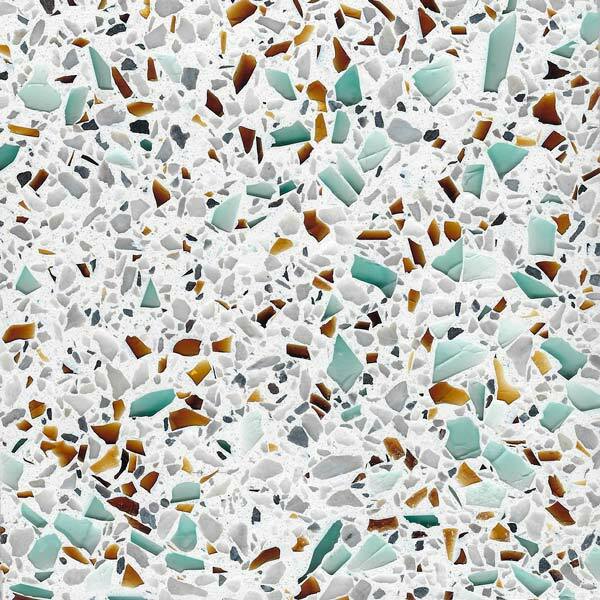 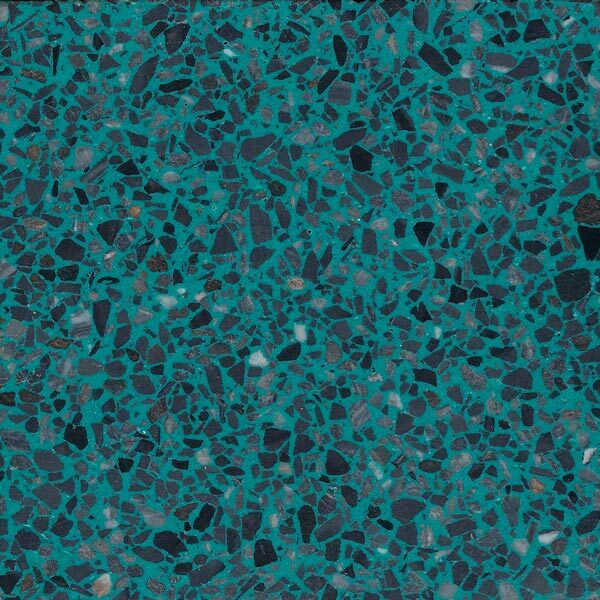 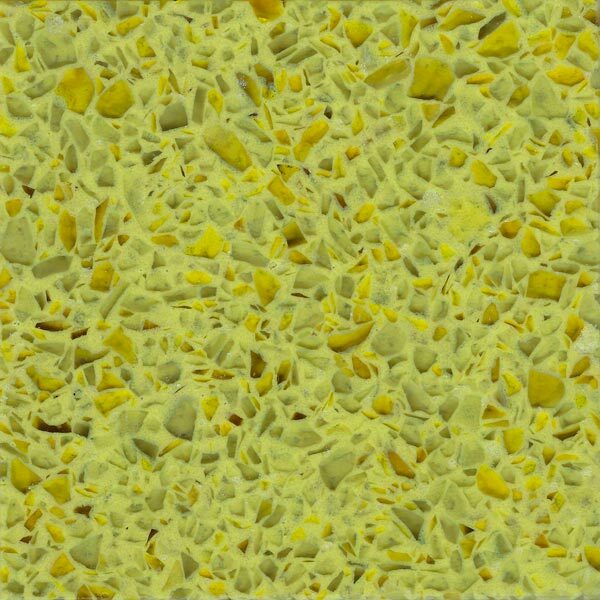 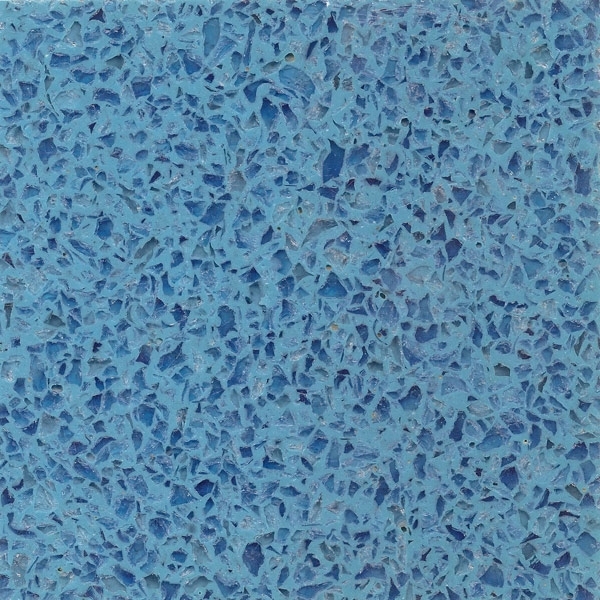 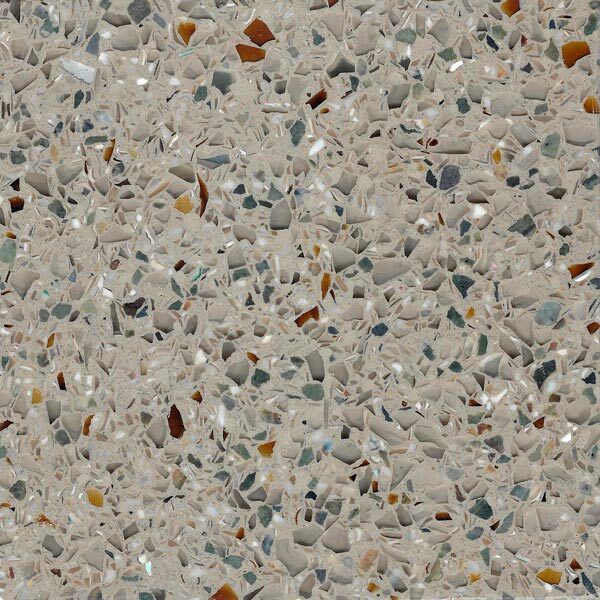 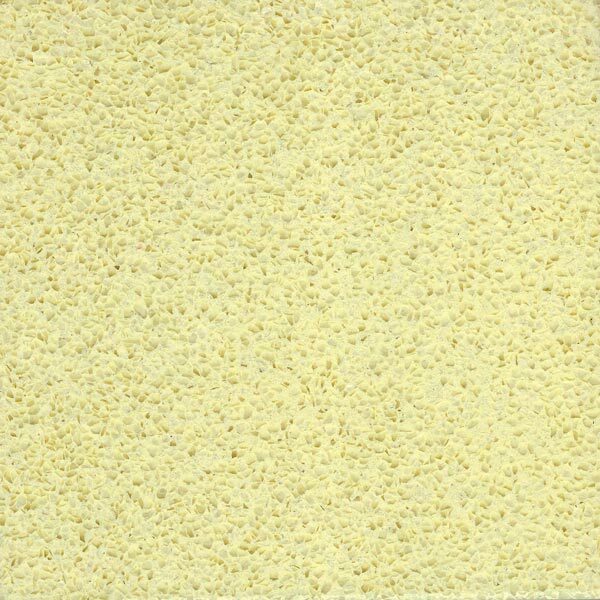 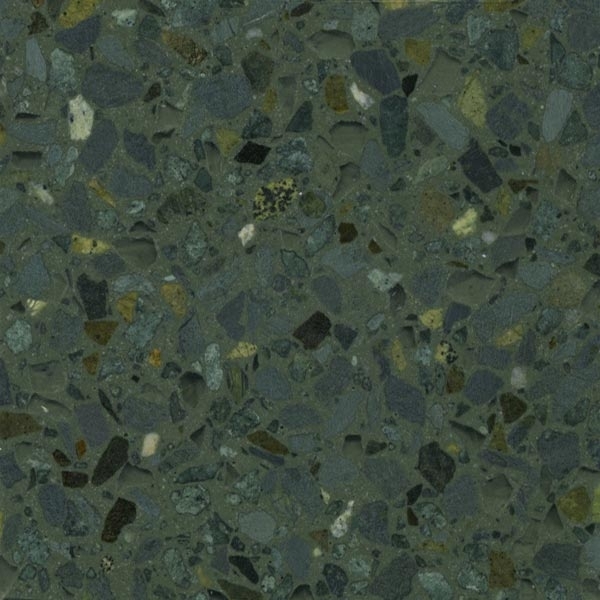 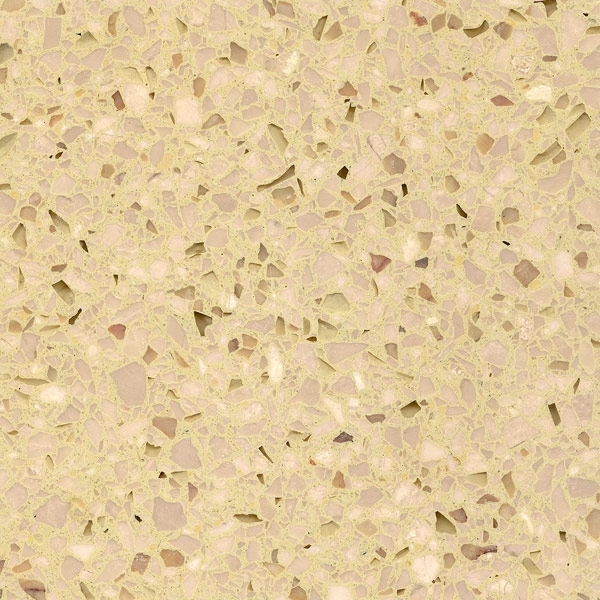 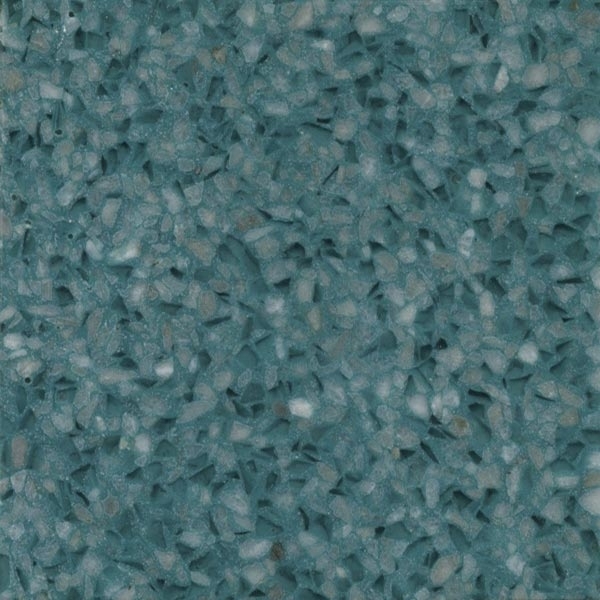 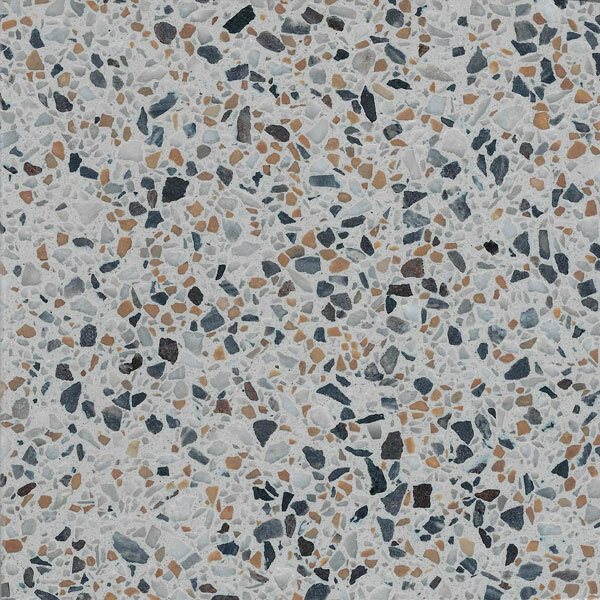 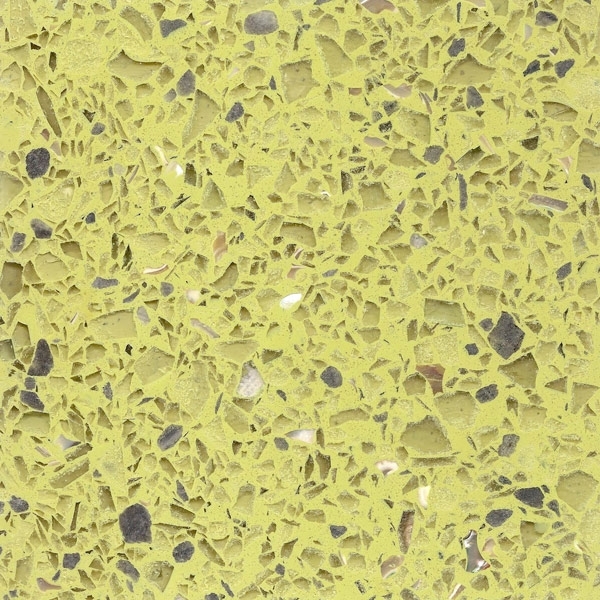 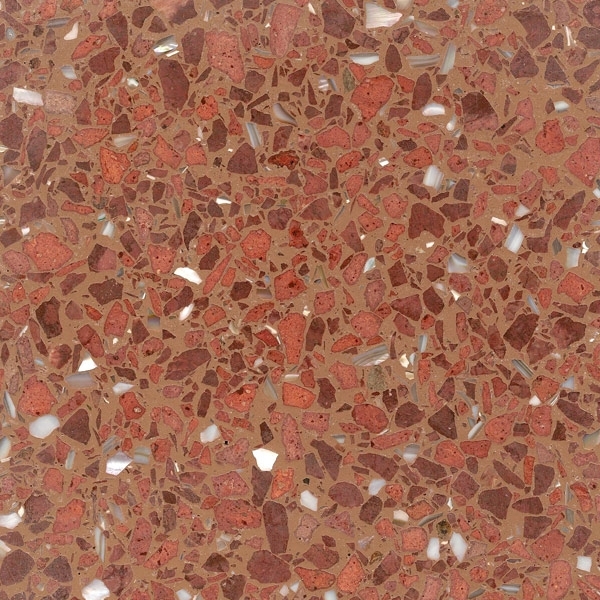 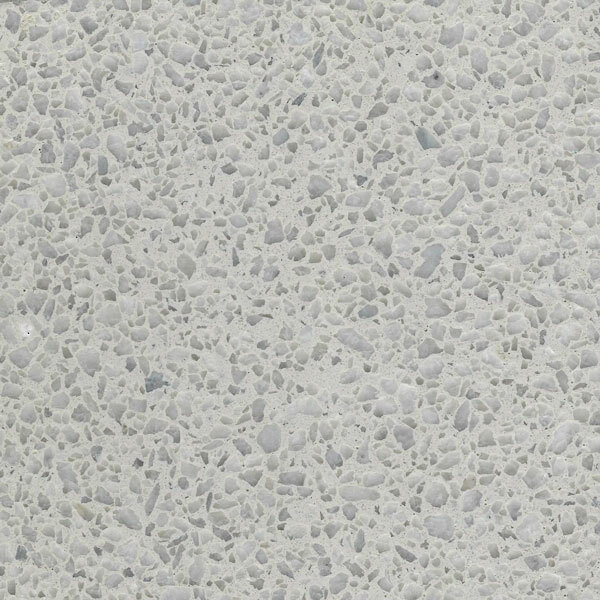 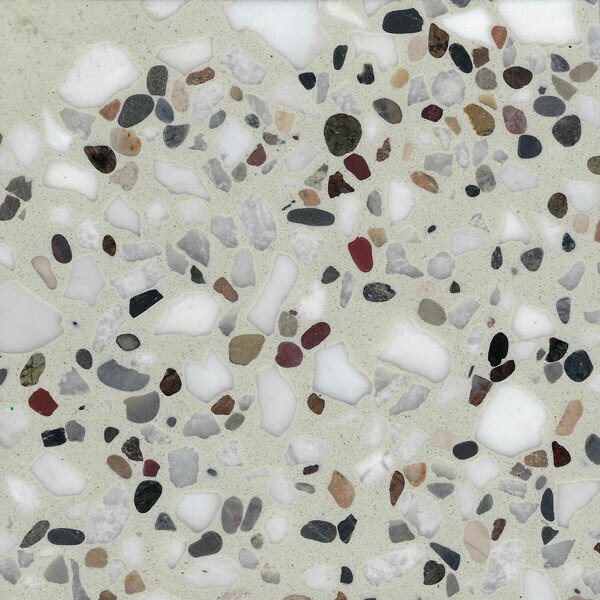 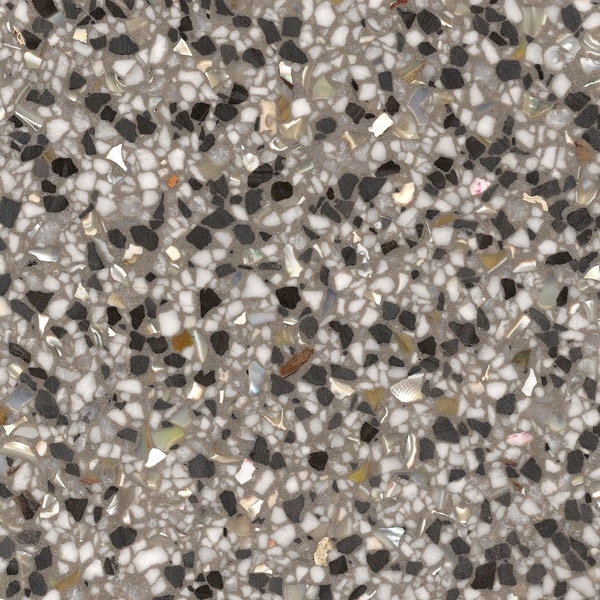 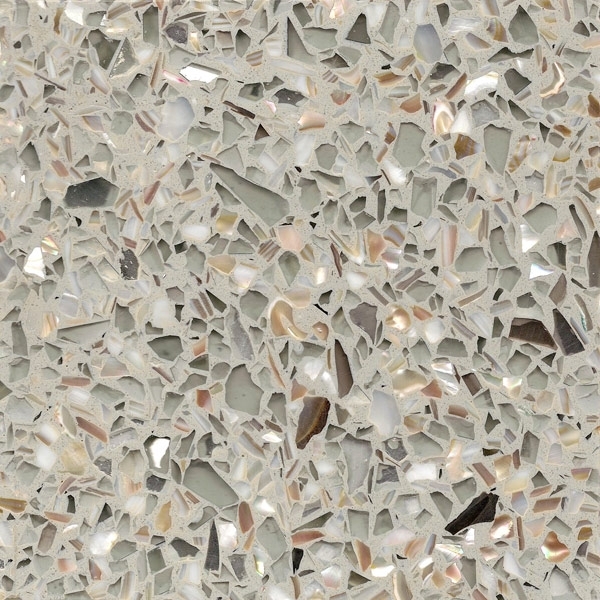 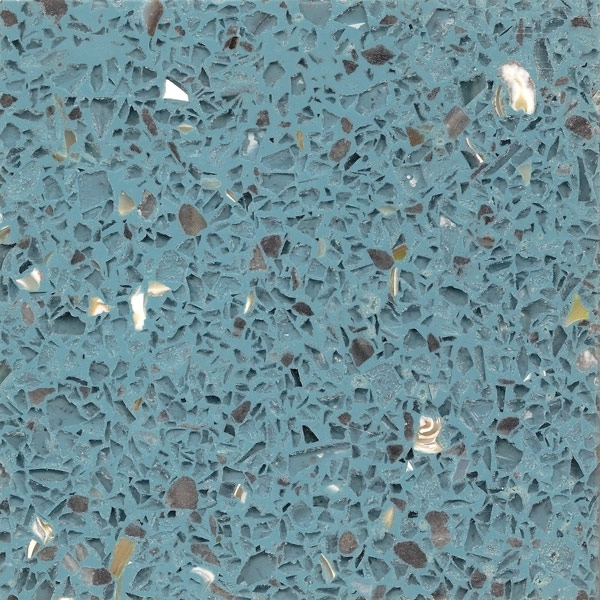 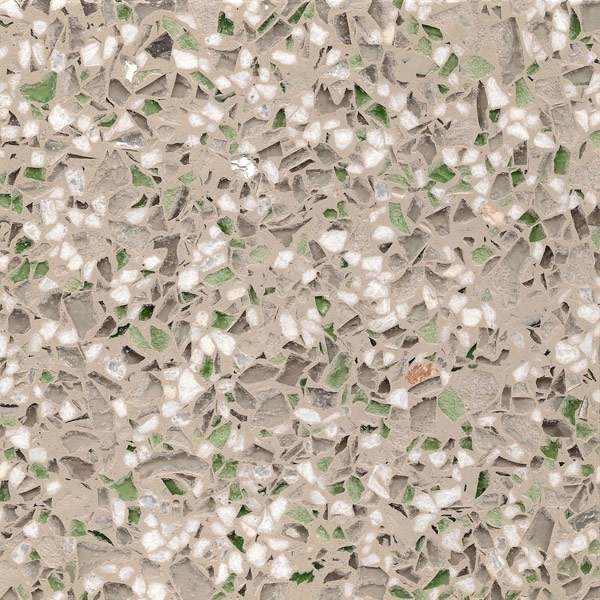 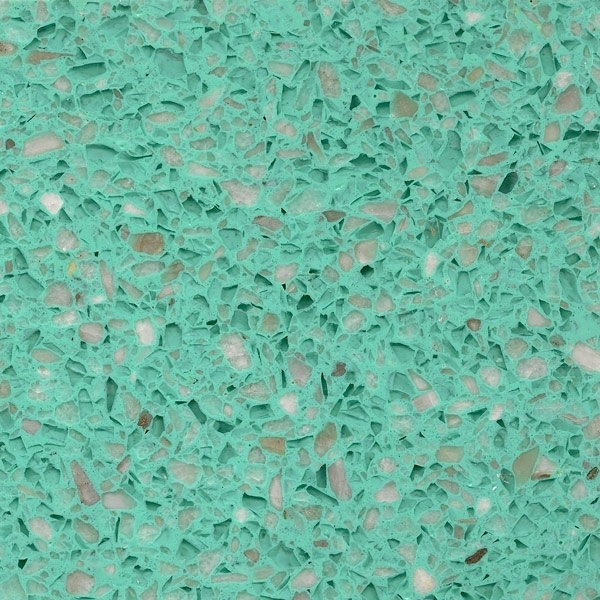 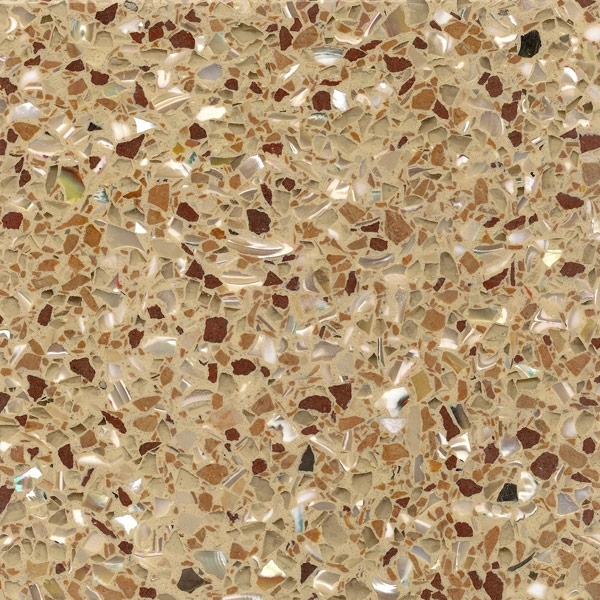 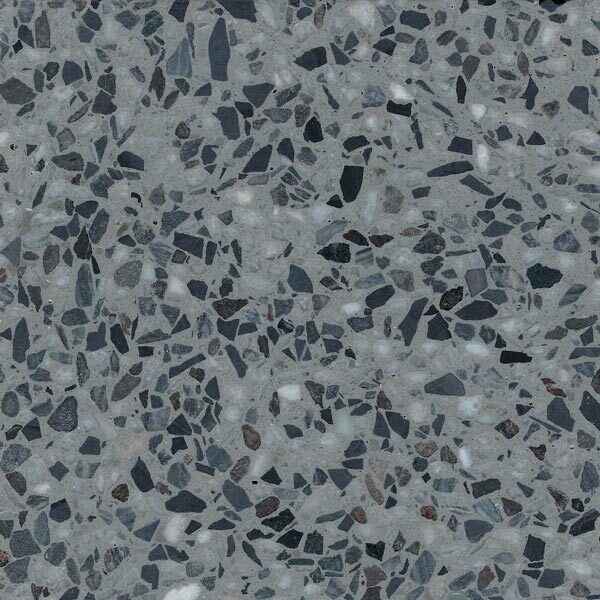 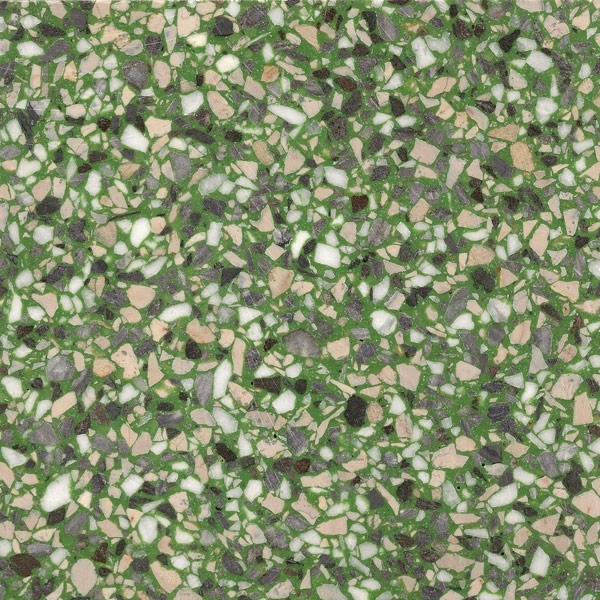 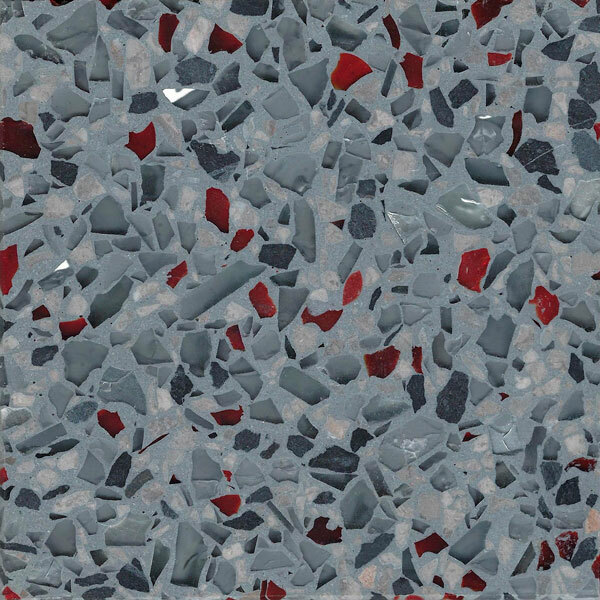 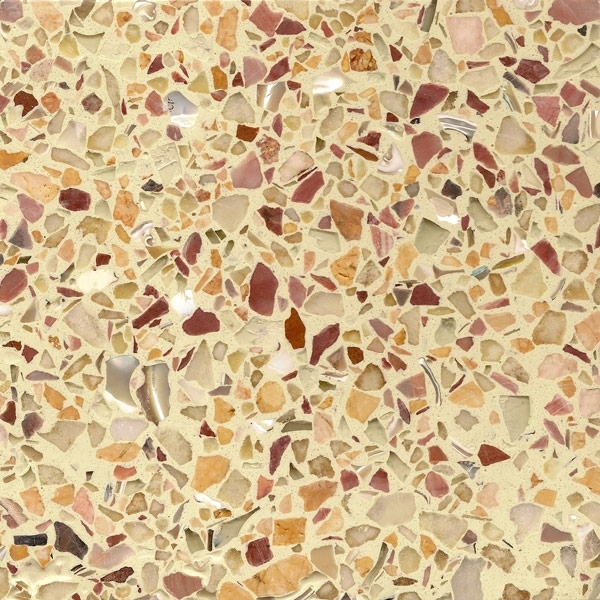 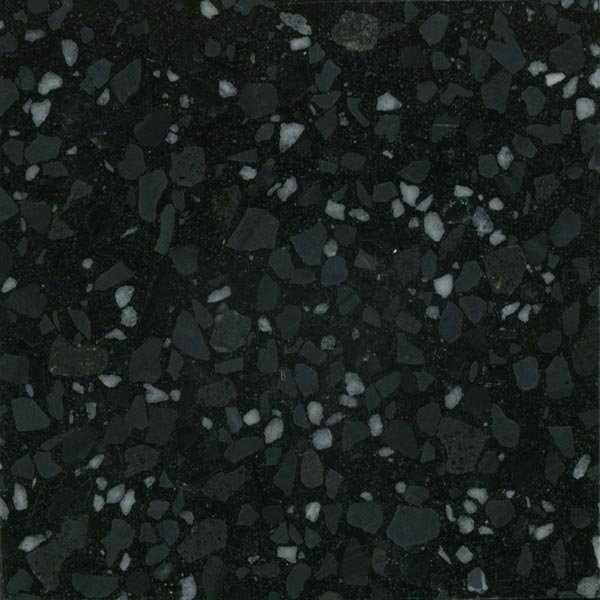 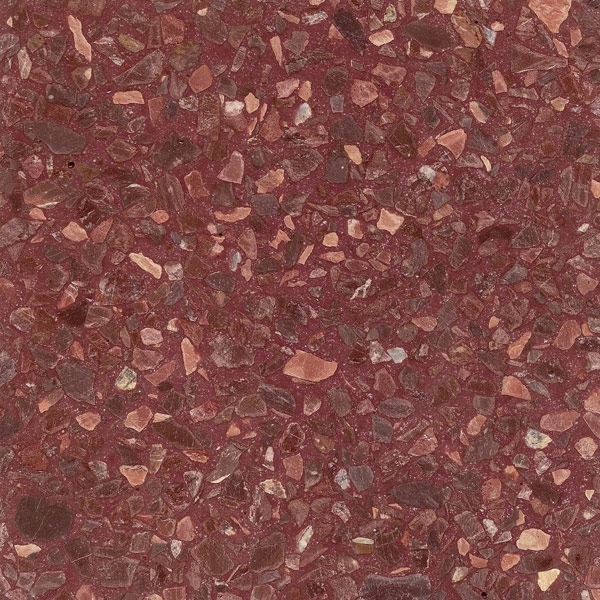 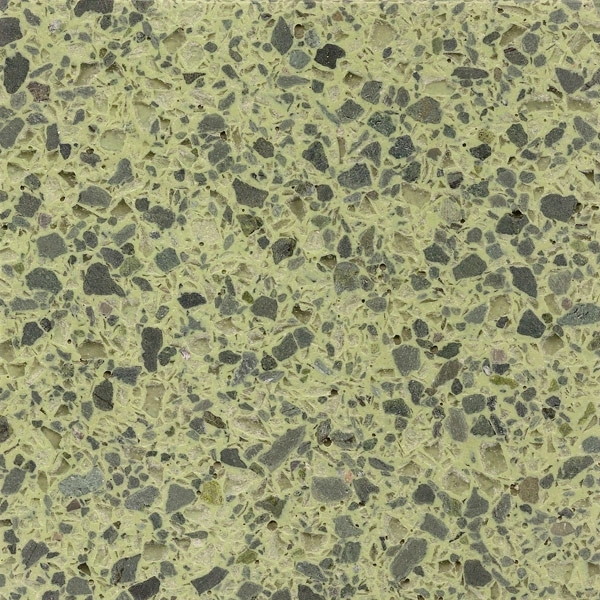 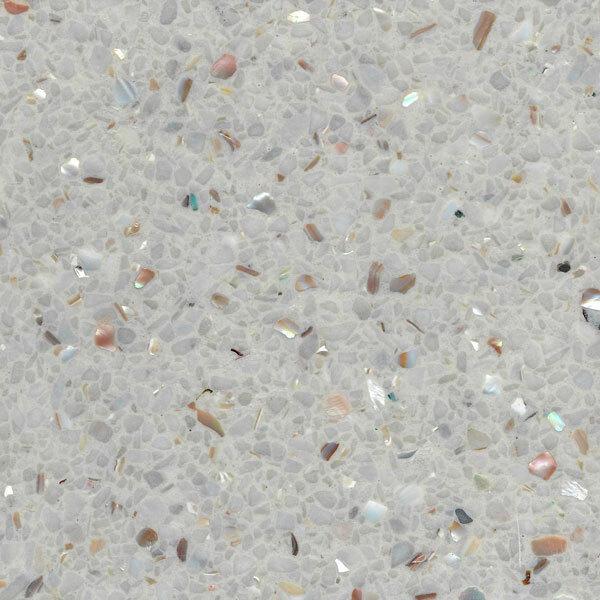 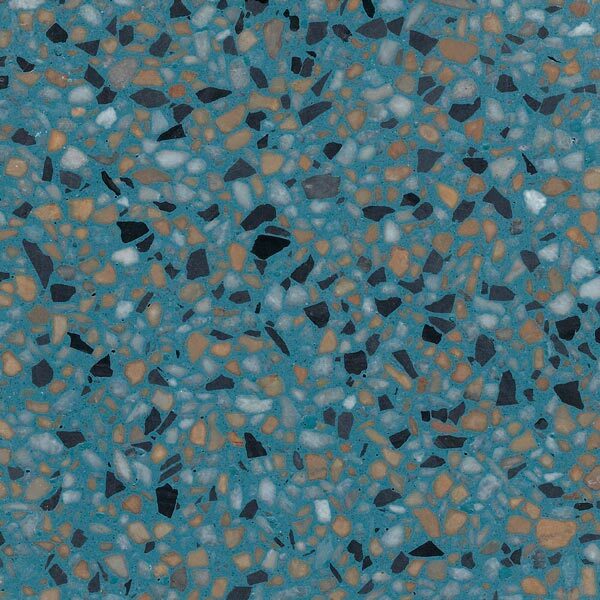 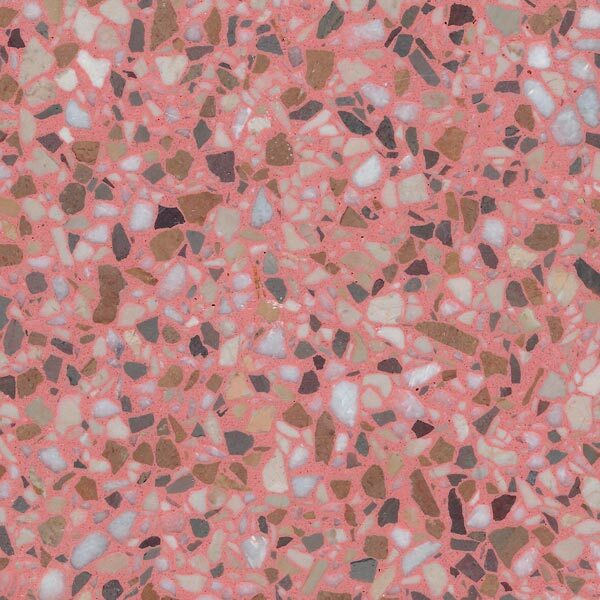 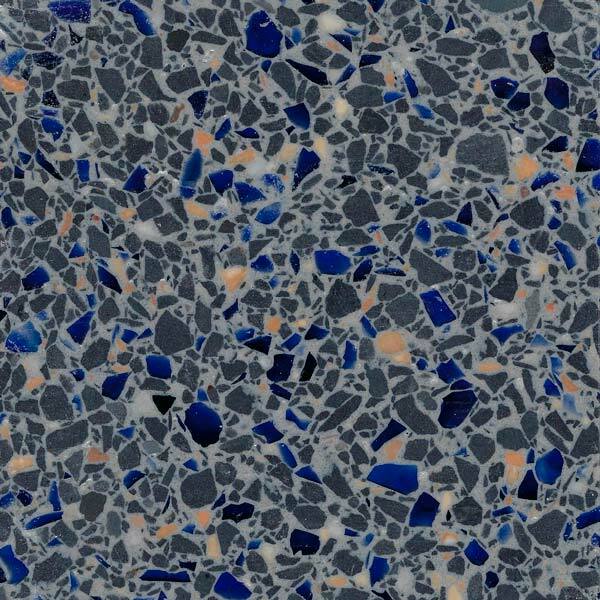 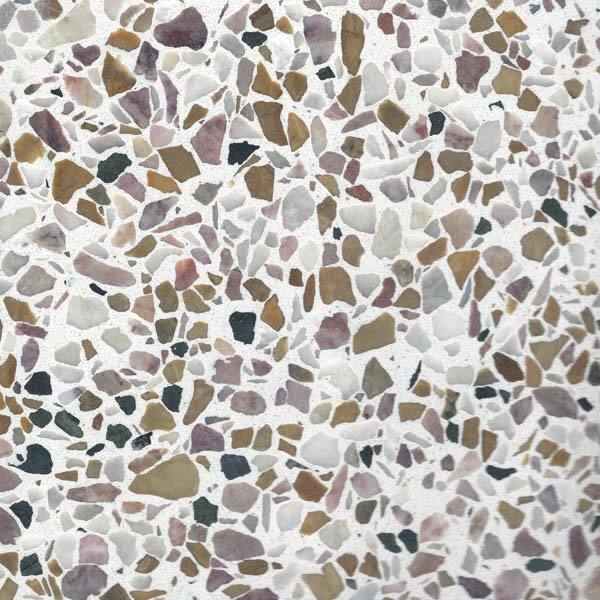 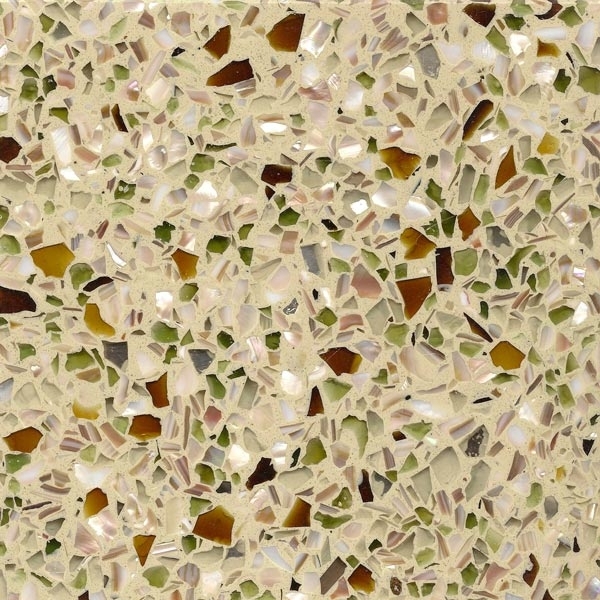 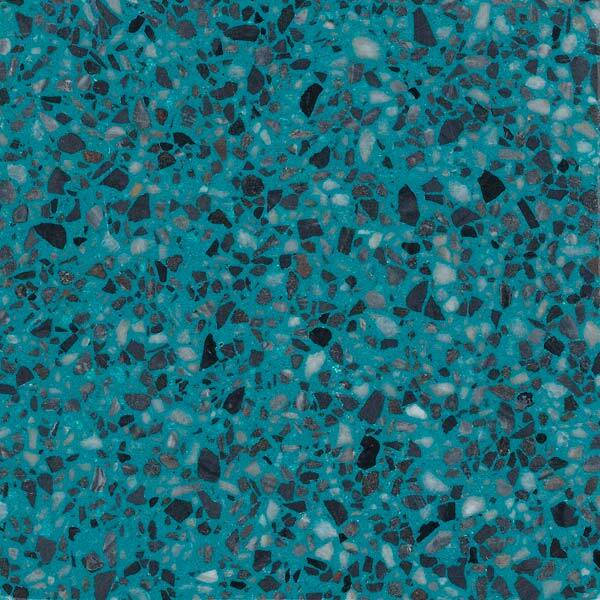 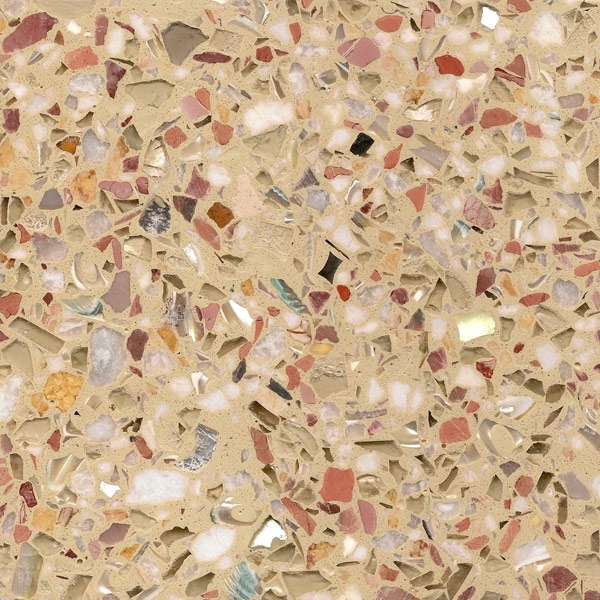 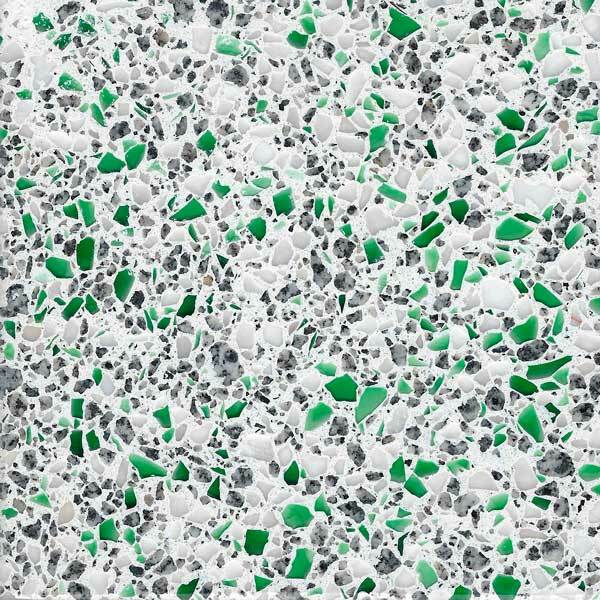 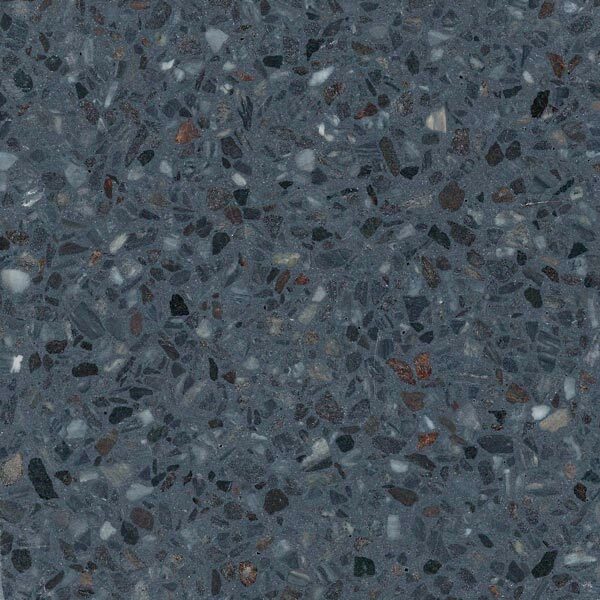 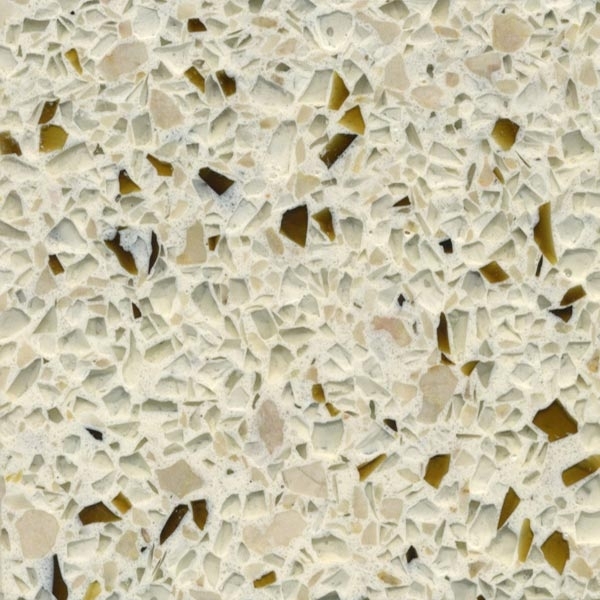 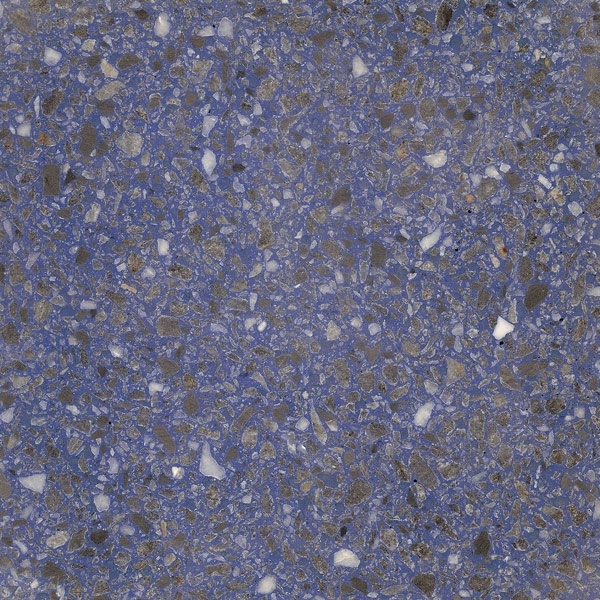 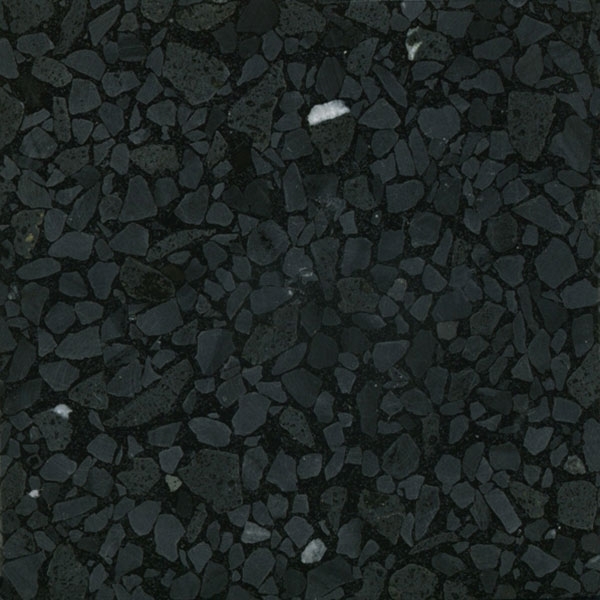 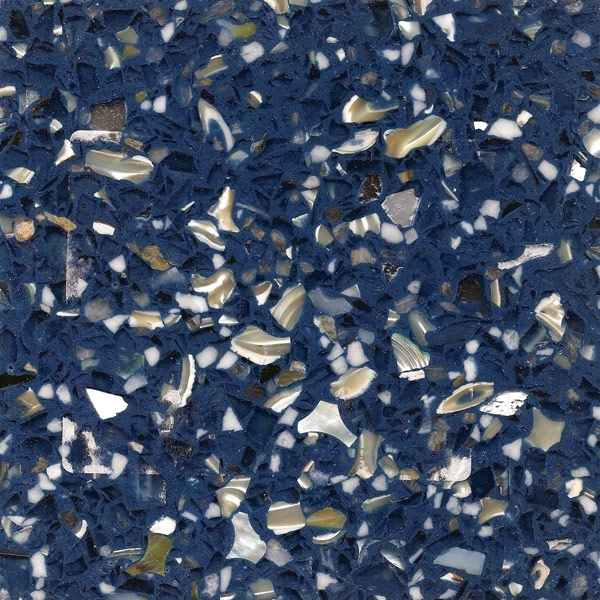 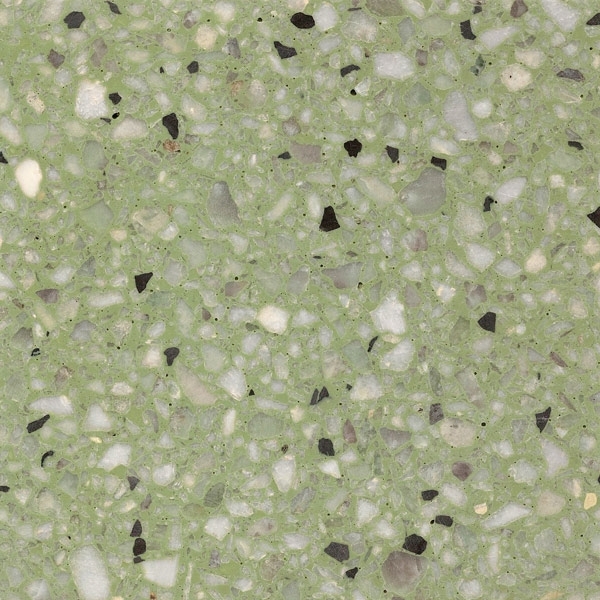 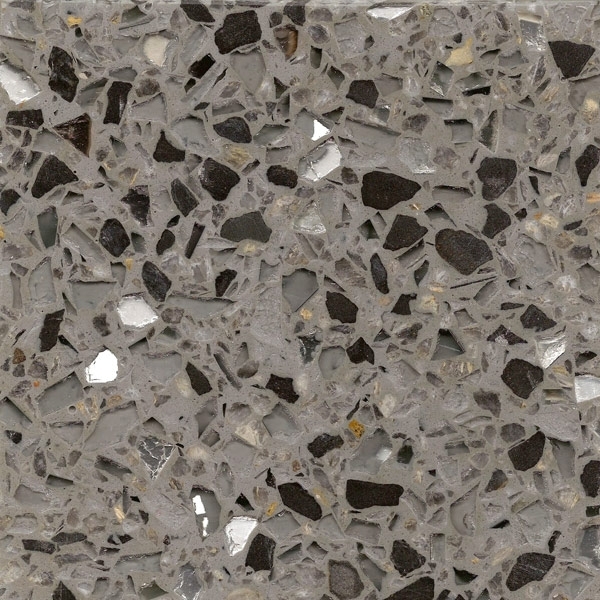 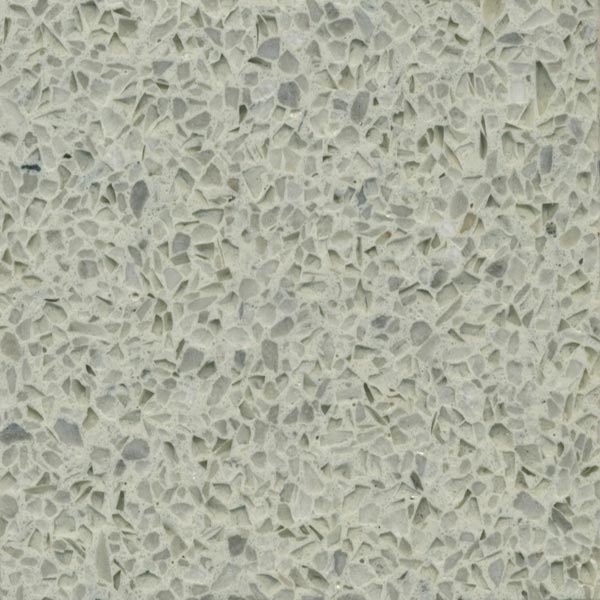 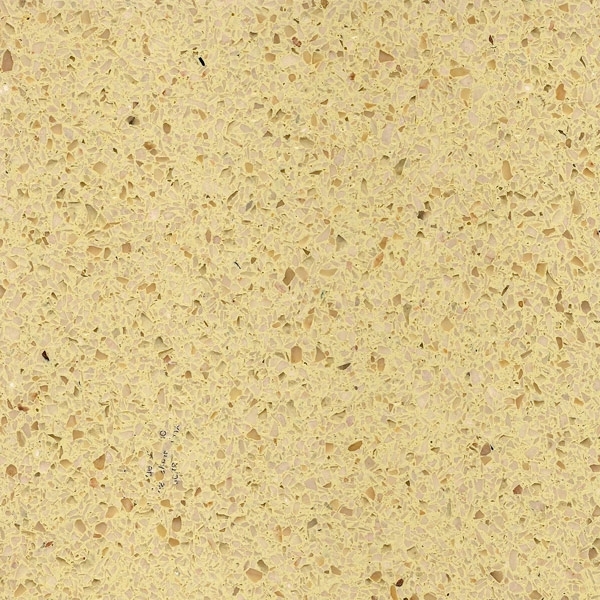 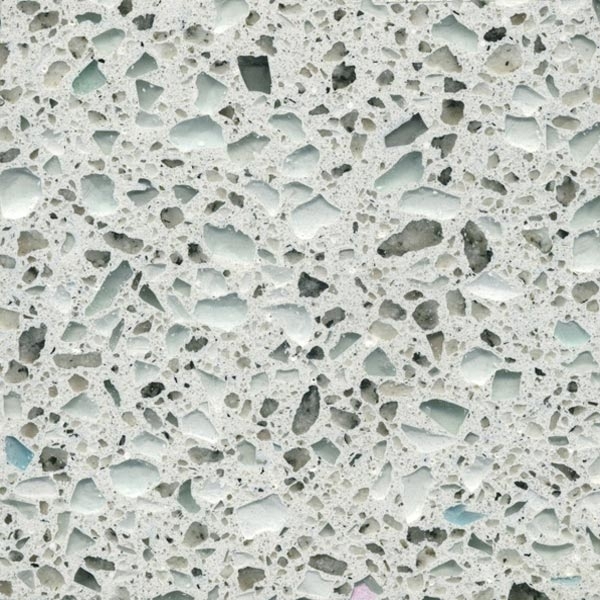 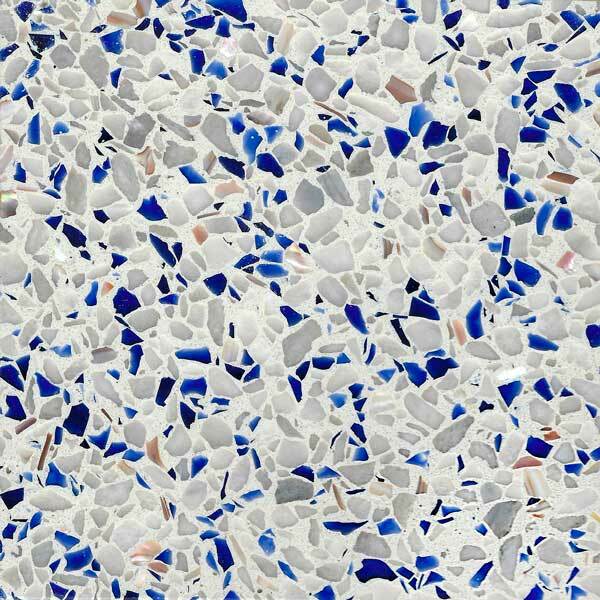 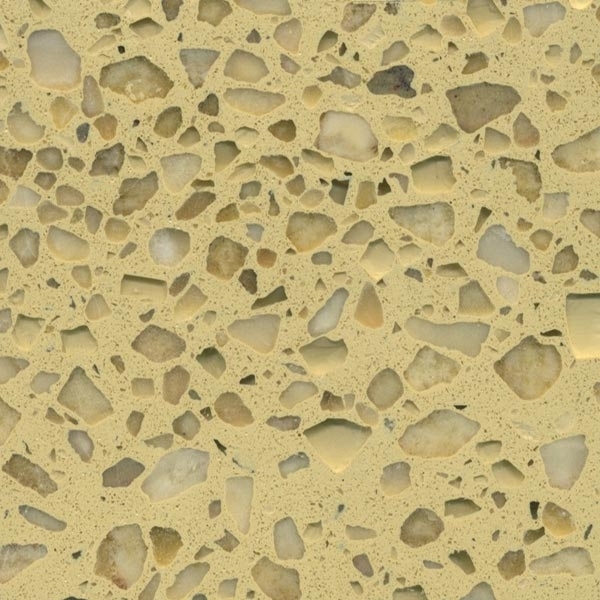 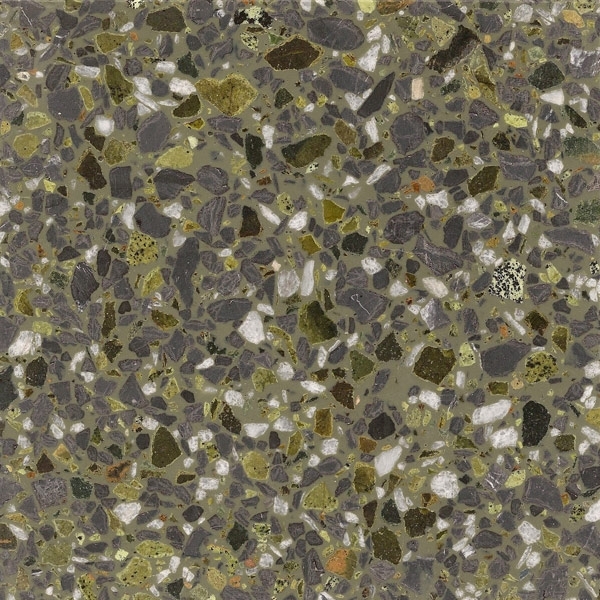 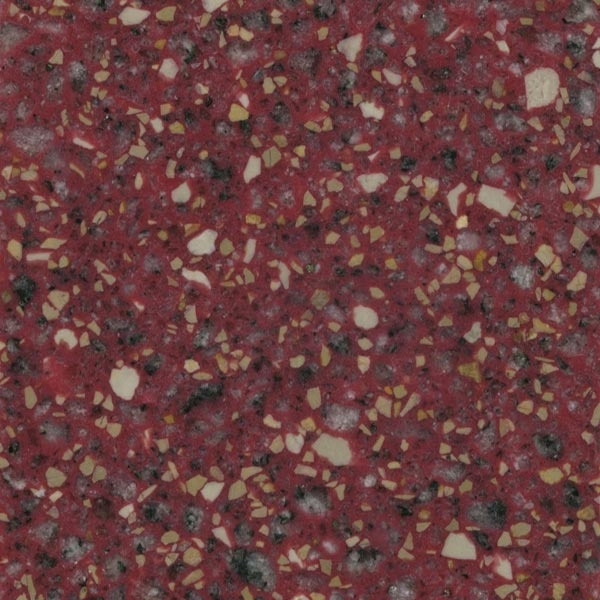 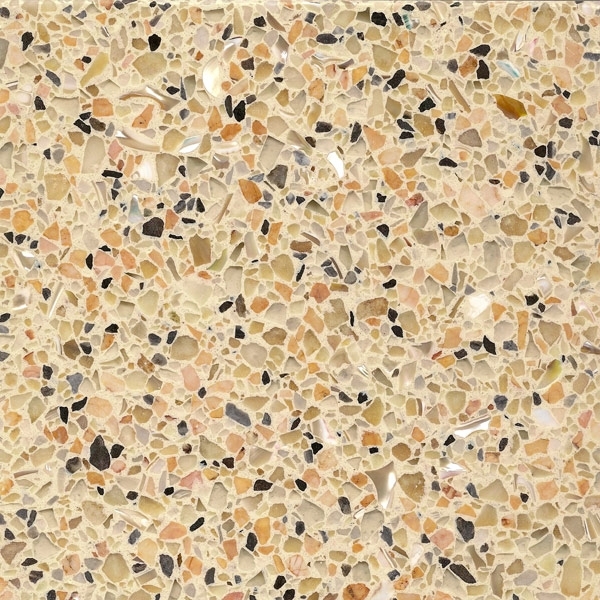 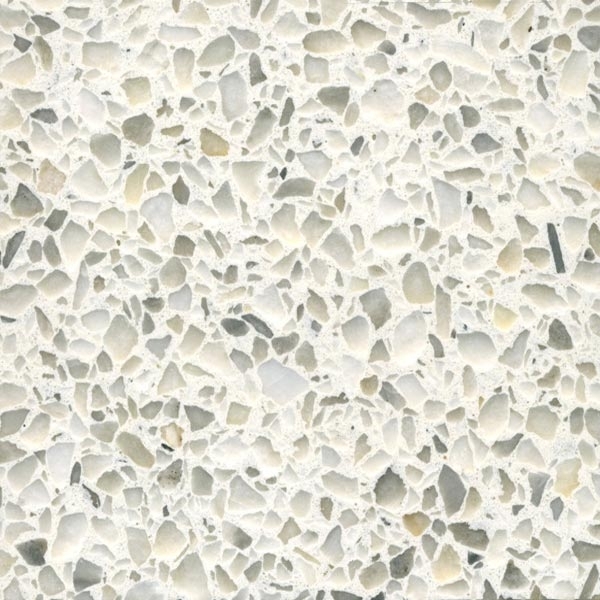 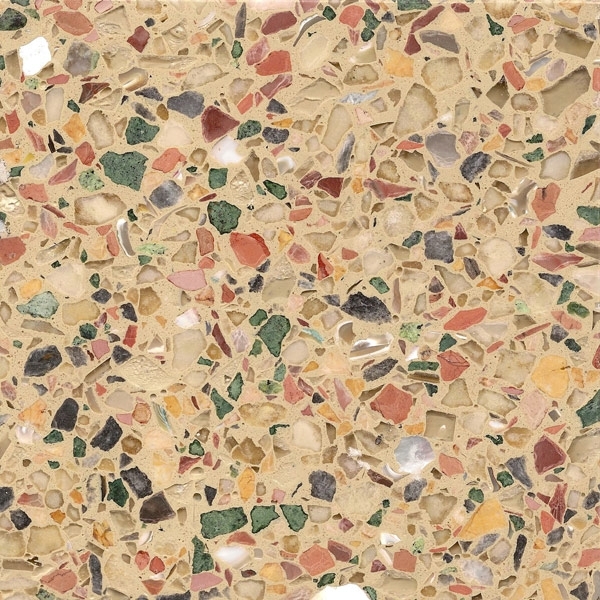 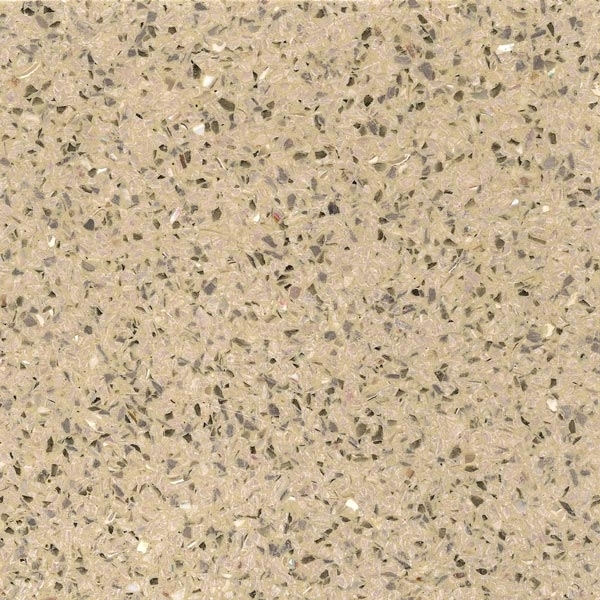 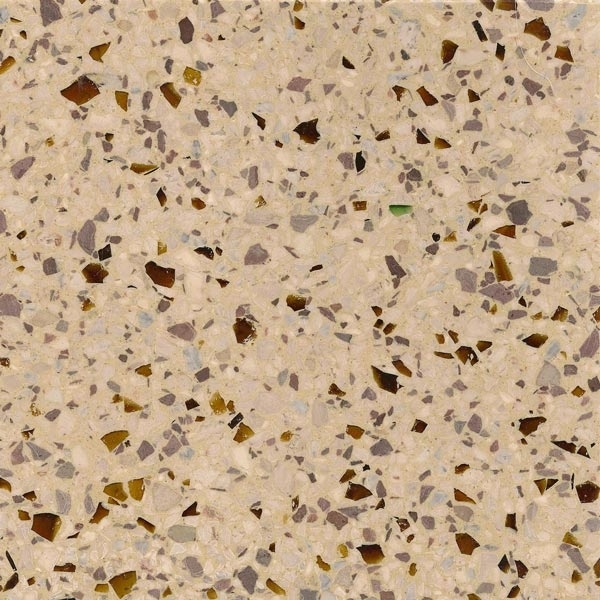 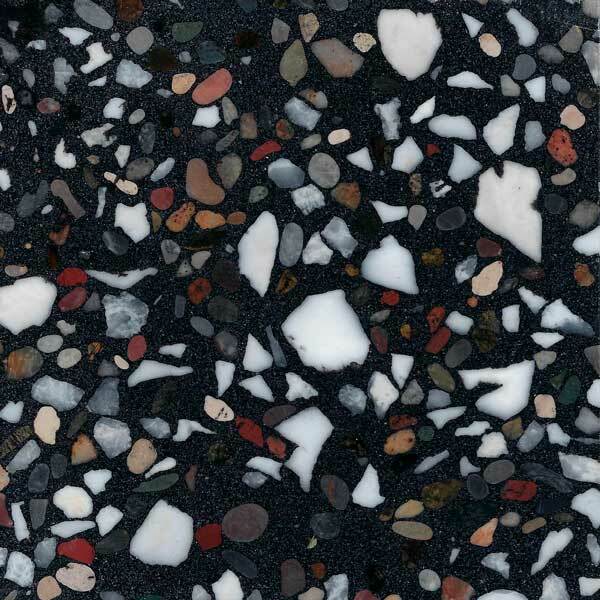 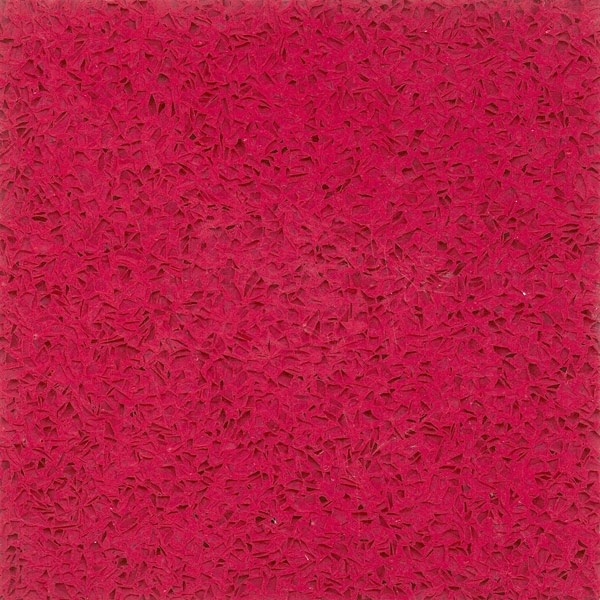 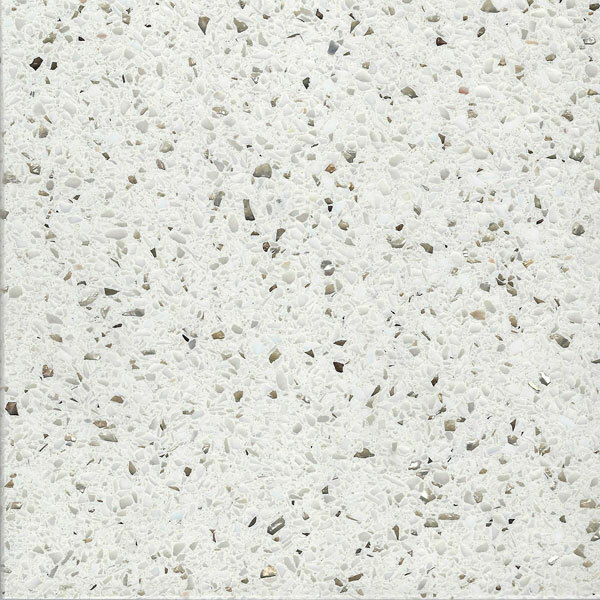 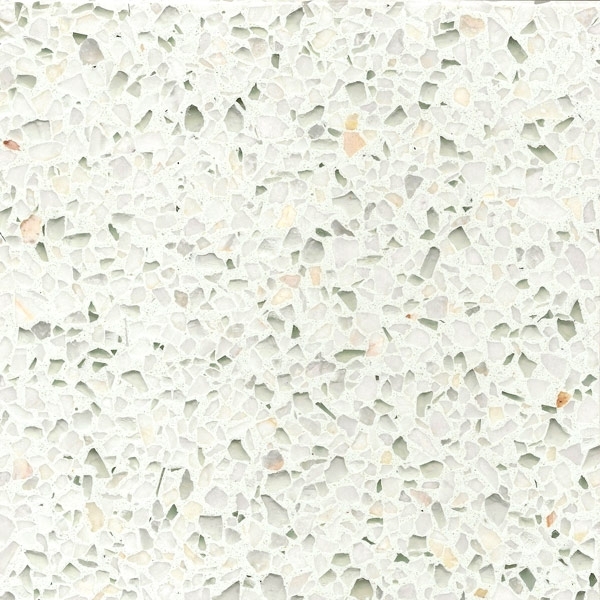 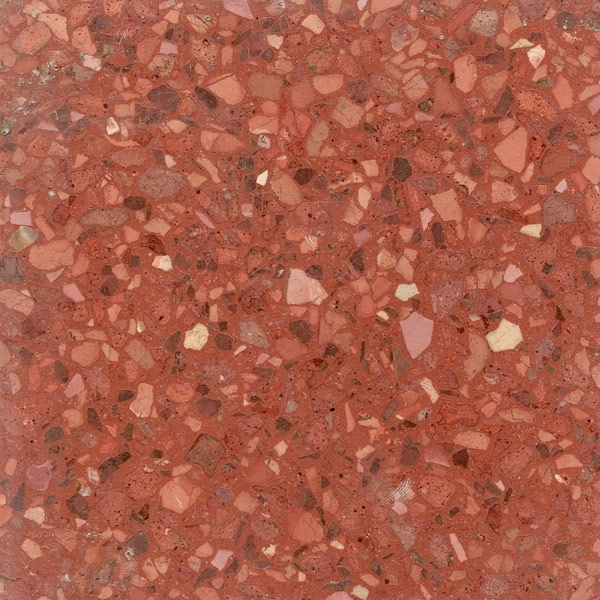 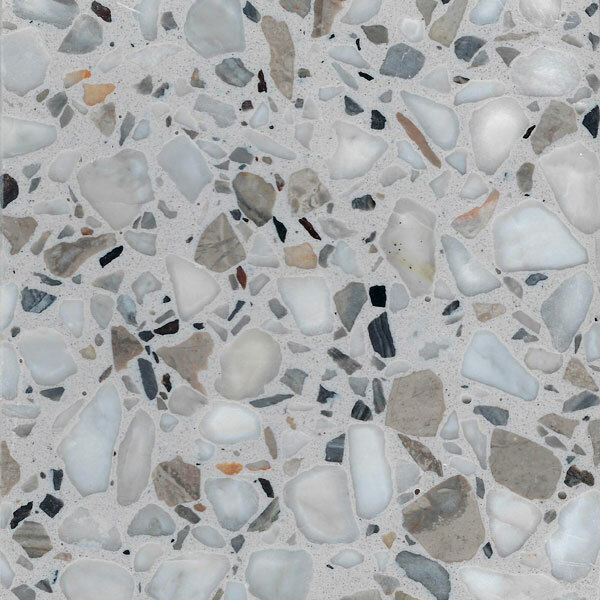 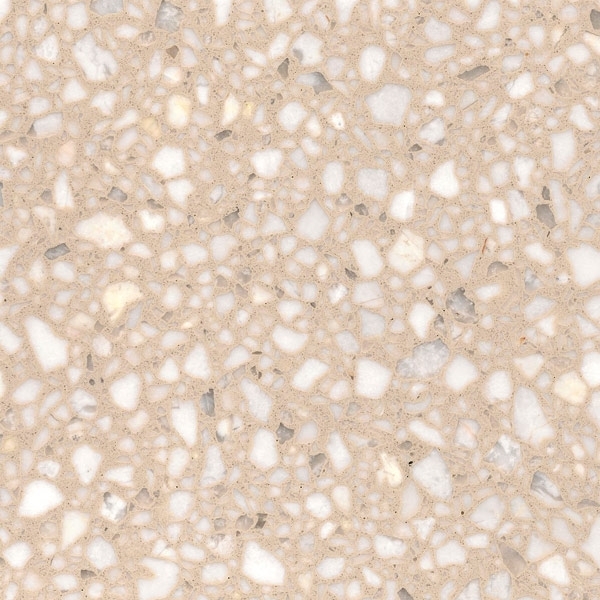 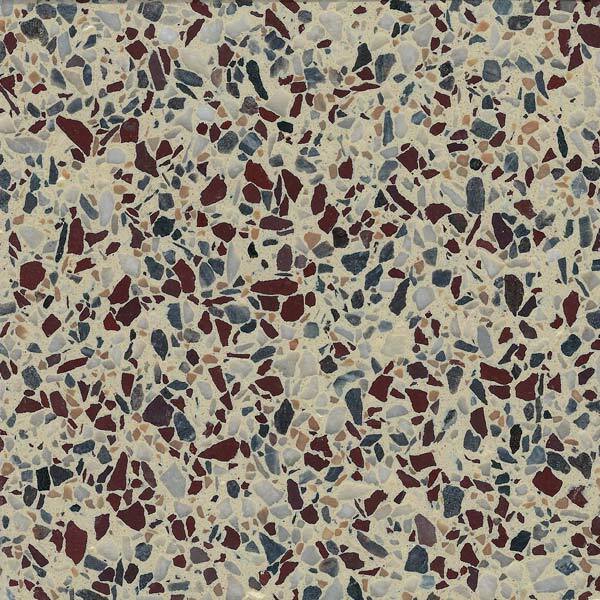 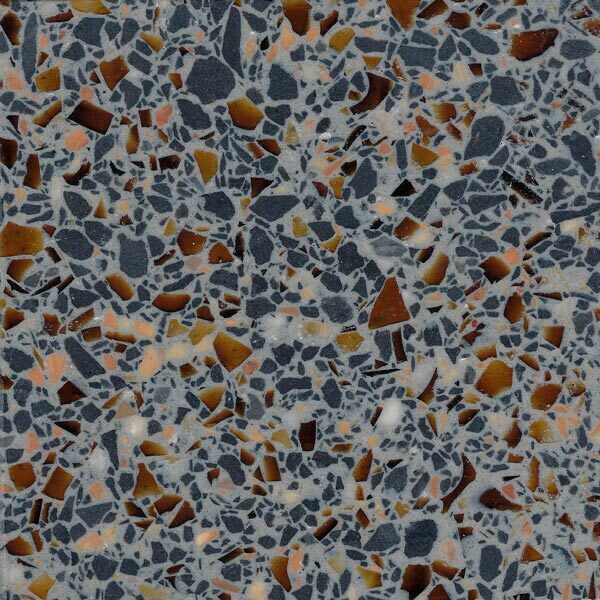 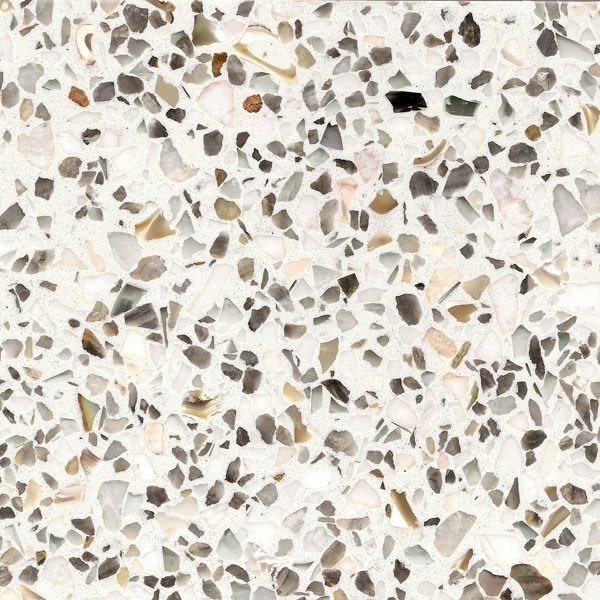 We suggest limiting sample requests to one or two samples per color of terrazzo for your project. 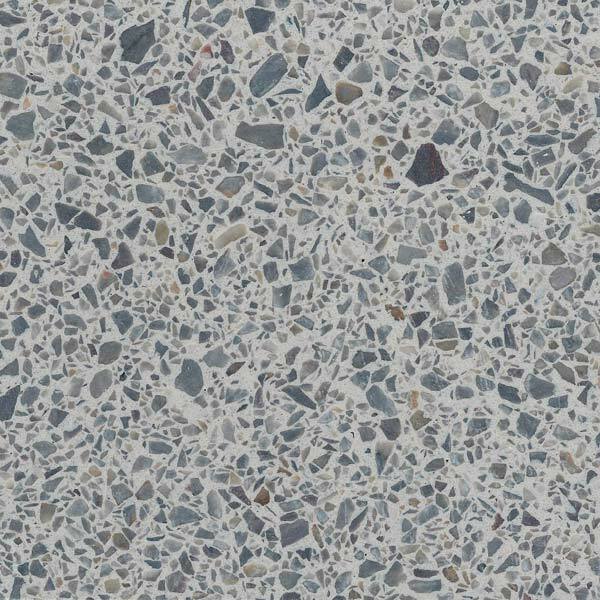 You can also contact us directly to arrange an in-person custom sample design session with a Master Terrazzo Technologies representative. 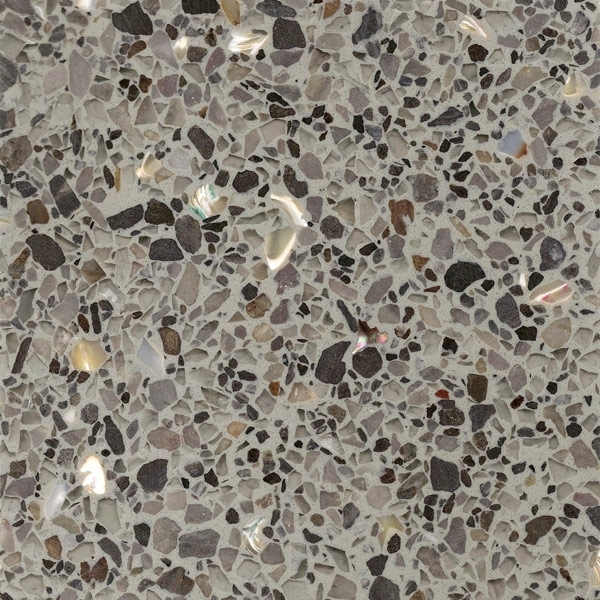 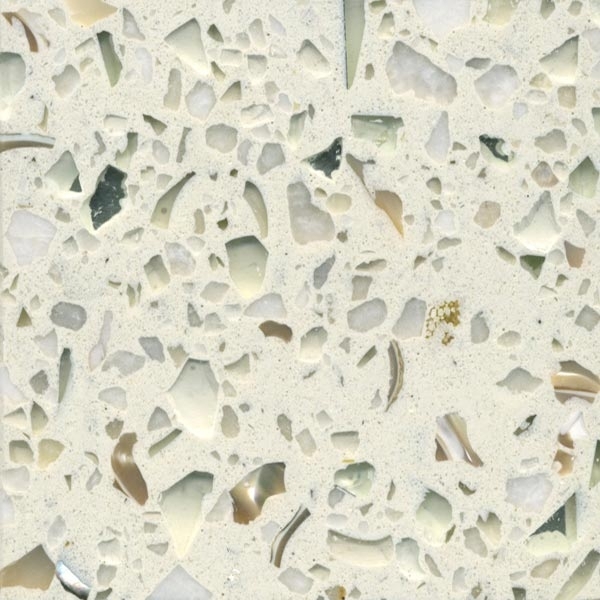 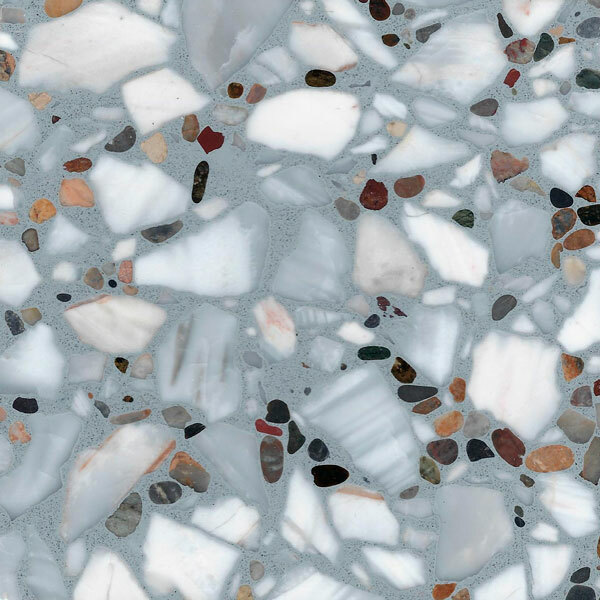 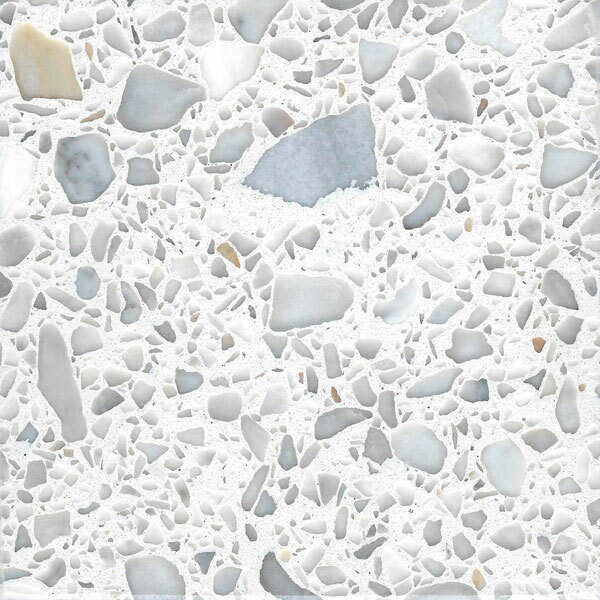 We have many options available, and often our custom samples are best when created in-person with your local Master Terrazzo Technologies representative. 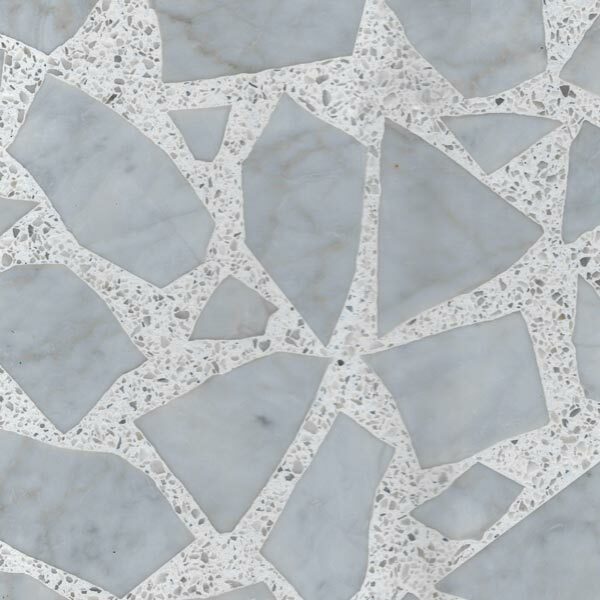 These samples sessions typically take approximately 30 minutes. 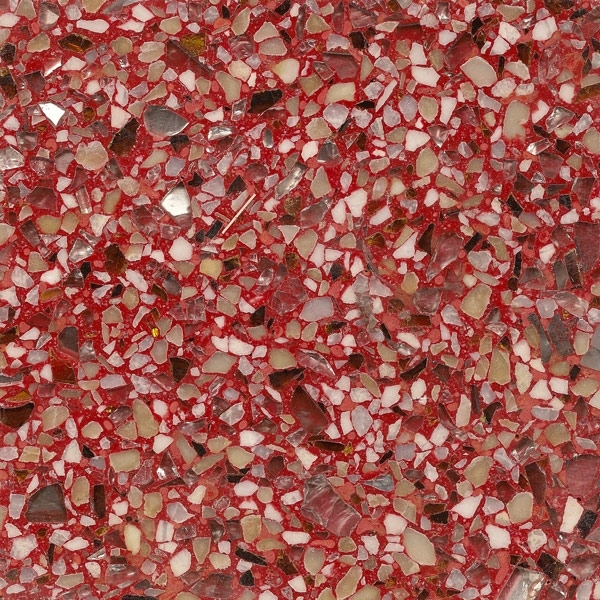 Production of the finished sample(s) typically takes 3-5 business days to manufacture. 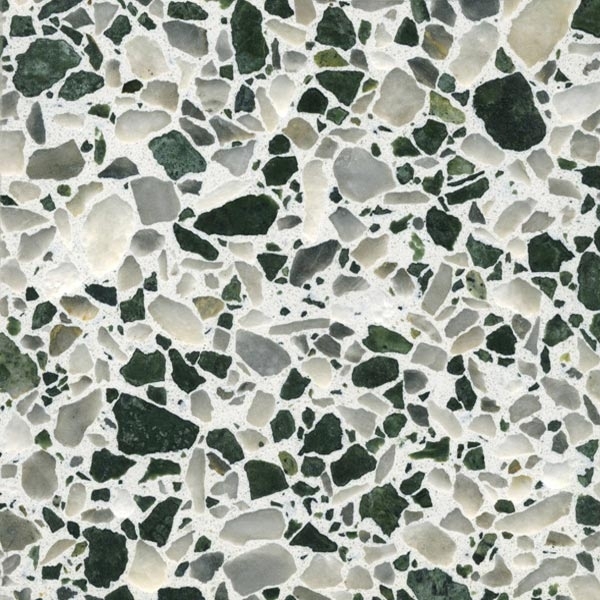 In some cases, custom samples requests can be taken by phone or email — contact your nearest Master Terrazzo representative. 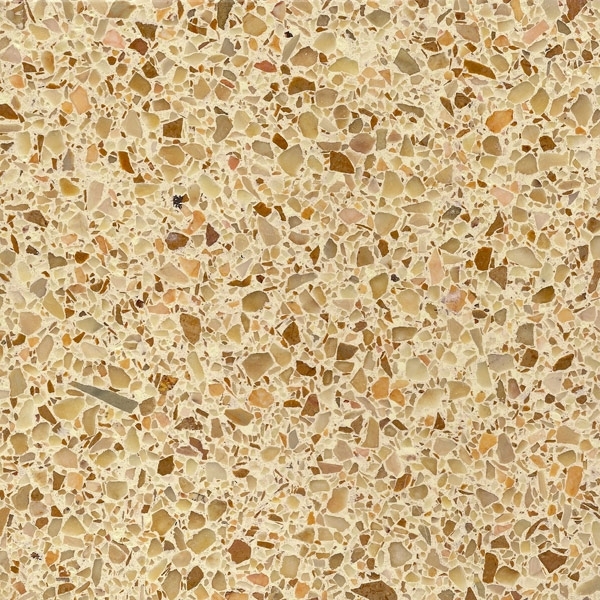 Our Standard (pre-manufactured) Master Terrazzo Morricite samples (examples shown below) are typically in-stock and can ship out same day or next day. 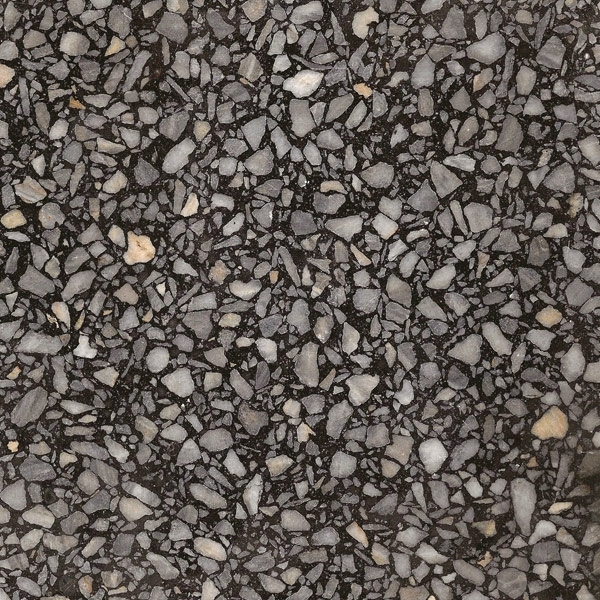 Samples are typically shipped via UPS Ground. 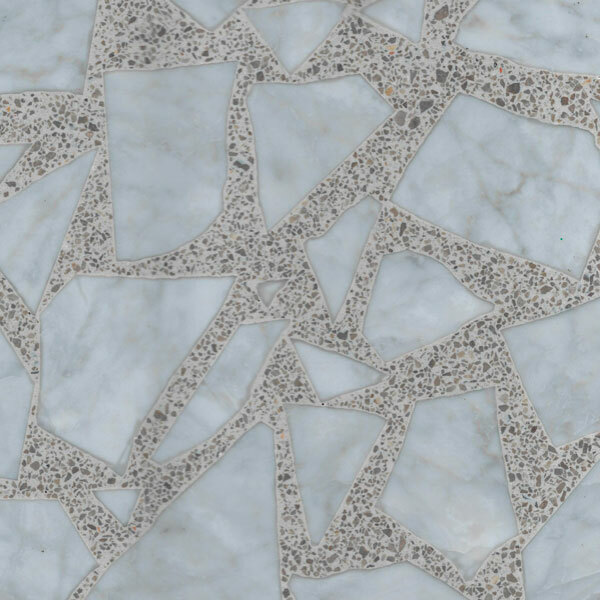 Please contact us directly if you require faster service. 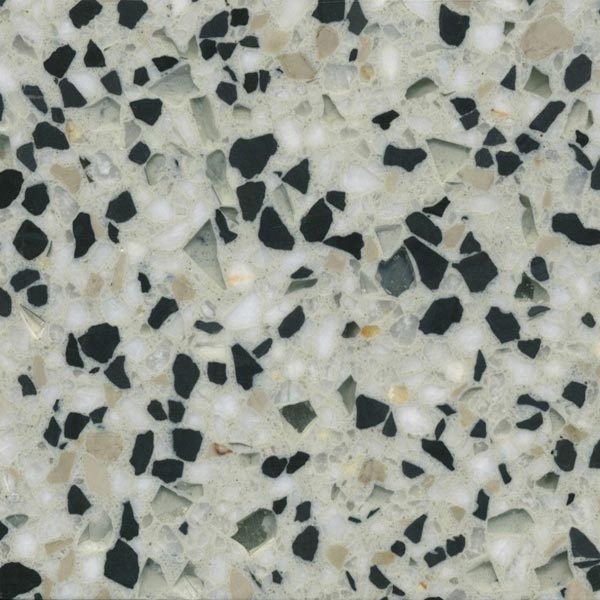 If you prefer, complete the form to the left and a Master Terrazzo representative will contact you. 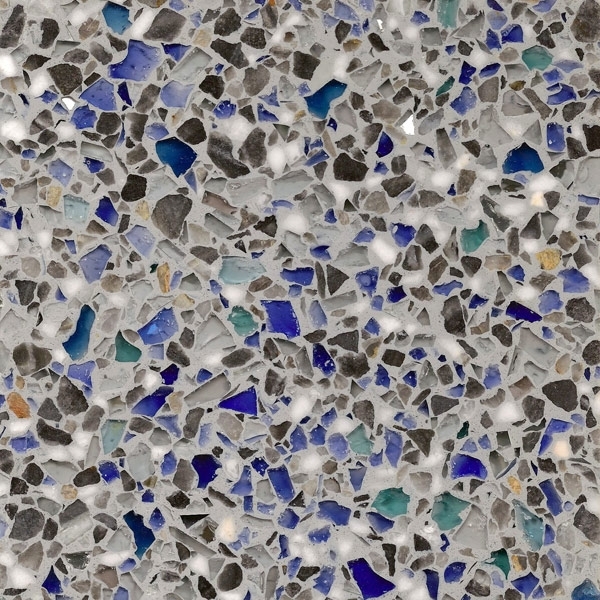 Partnering with Master Terrazzo Technology’s experienced team, our clients are able to explore endless design possibilities as well as the unique advantages offered by epoxy terrazzo flooring systems. 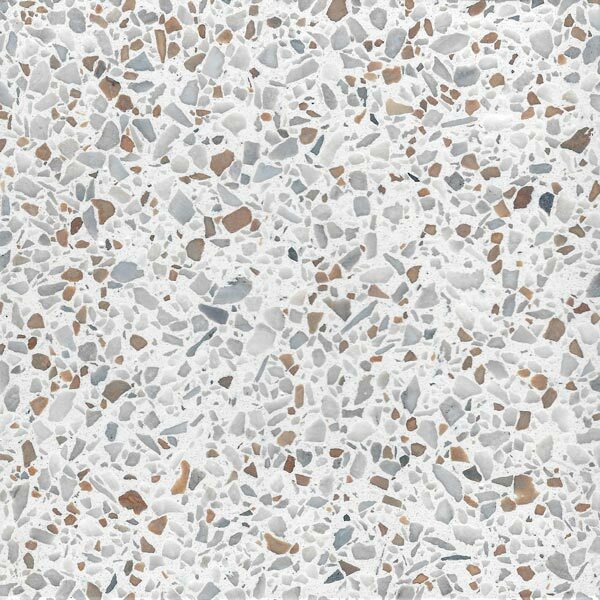 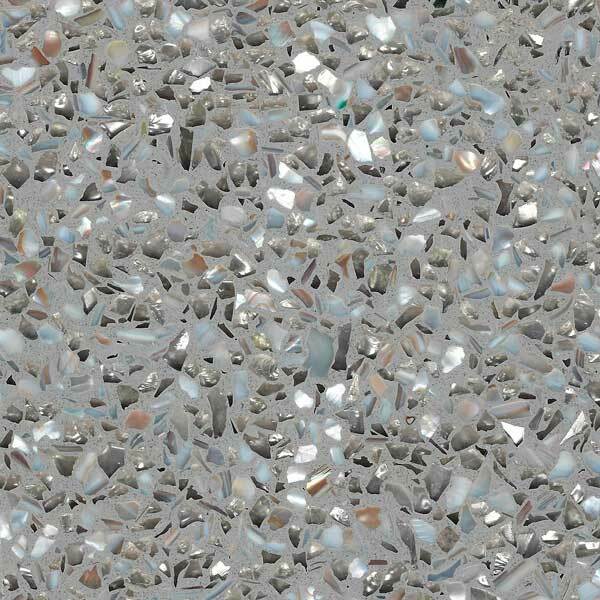 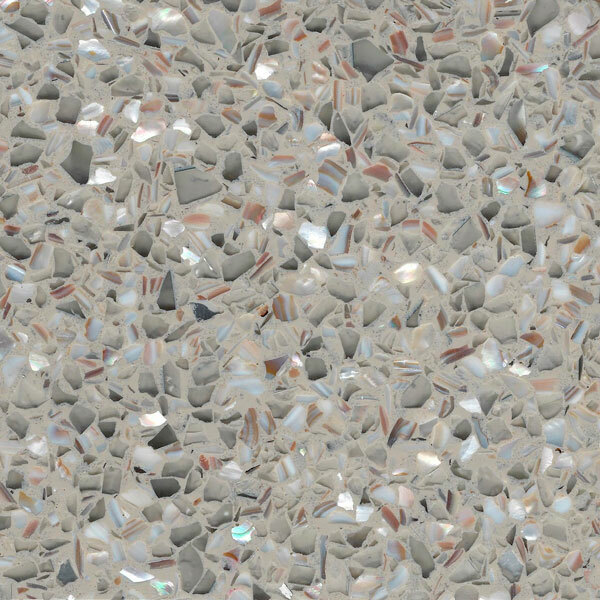 Morricite® Epoxy Terrazzo is a combination of various marble, granite, glass, synthetic or mother-of-pearl chips in an epoxy matrix. 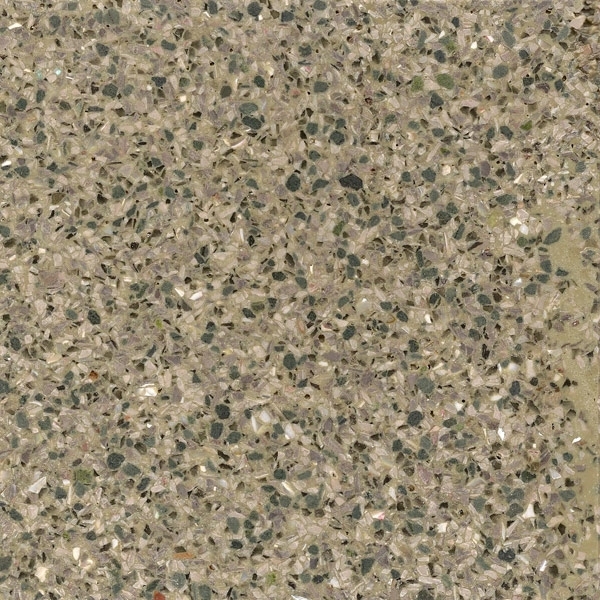 Chips may vary in shade, size and veining over time. 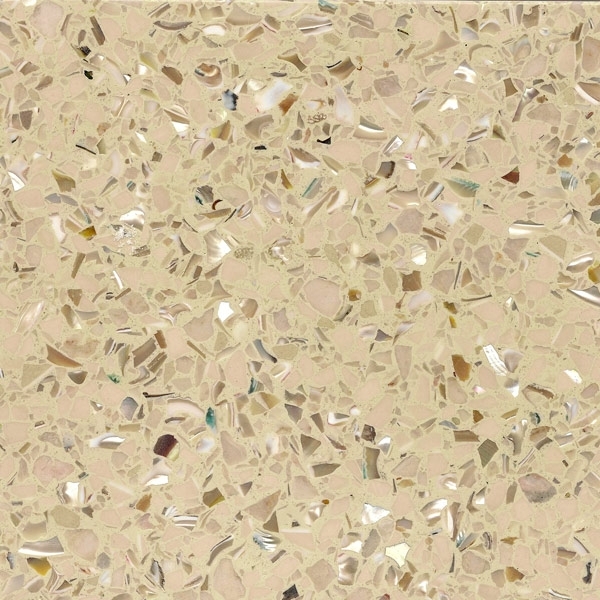 The degree of polishing and type of sealer used can also create a different look. 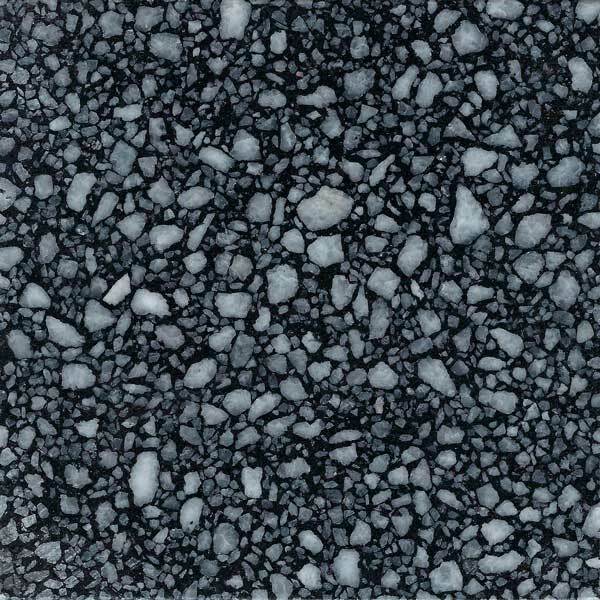 As custom field manufactured products, minor variations from our samples are to be expected. 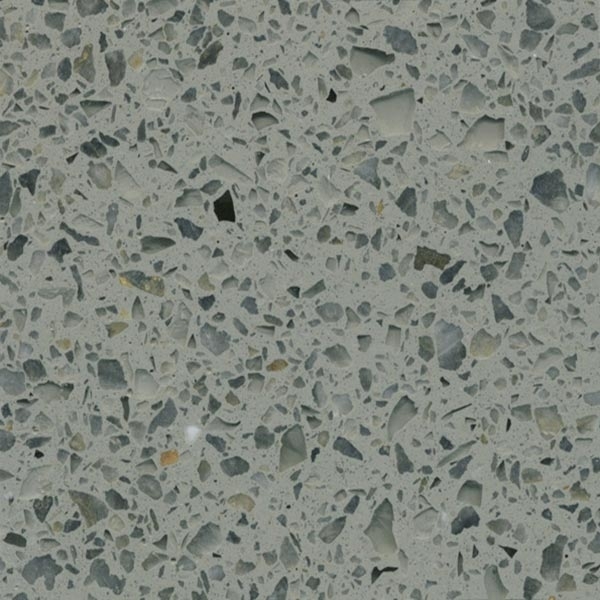 Master Terrazzo Technologies recommends that when developing a design for an epoxy terrazzo flooring system, the use of clear and light colored glass within dark matrices is limited to a “design minimum.” That’s because under certain conditions there is a potential for epoxy terrazzo systems containing glass aggregate to exhibit fracturing, which can alter its appearance. 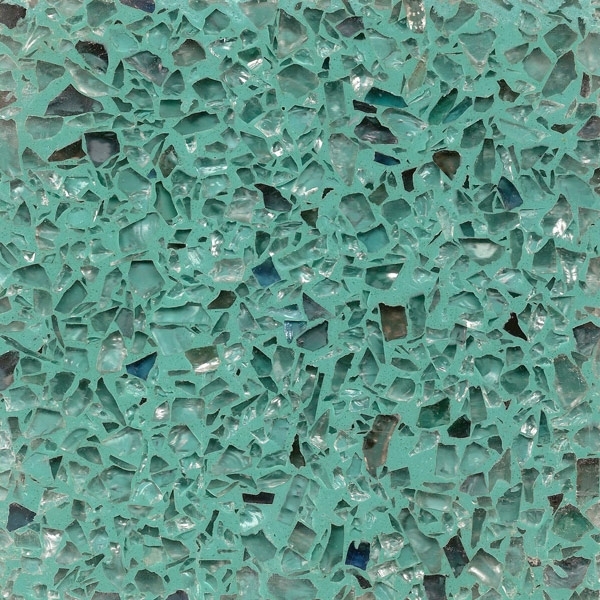 In addition, the use of clear or light-colored glass as the majority of an aggregate within a dark-colored matrix (without contrasting colored aggregates of glass or marble) may produce undesirable results: some of the aggregate may fracture under pressure, producing a “frosty” or “crystal-like” appearance. 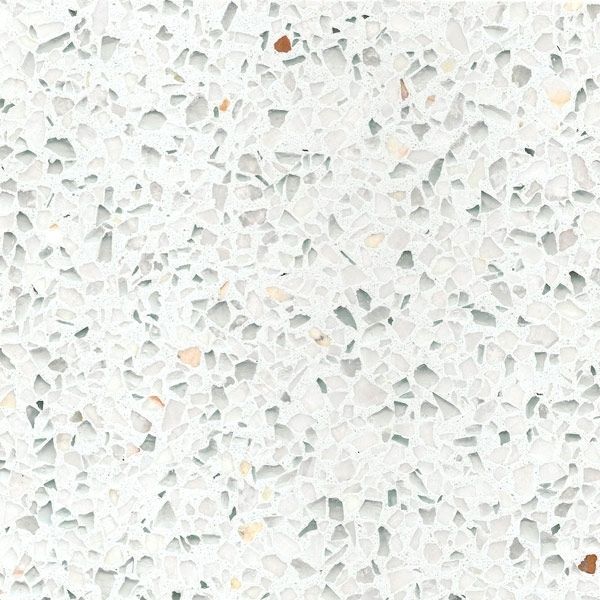 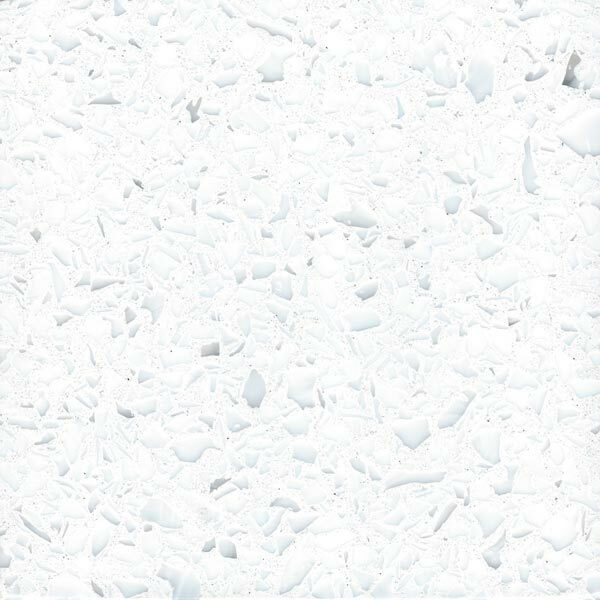 This phenomenon can be aggravated by the use of large sizes of clear or light-colored glass within the aggregate. 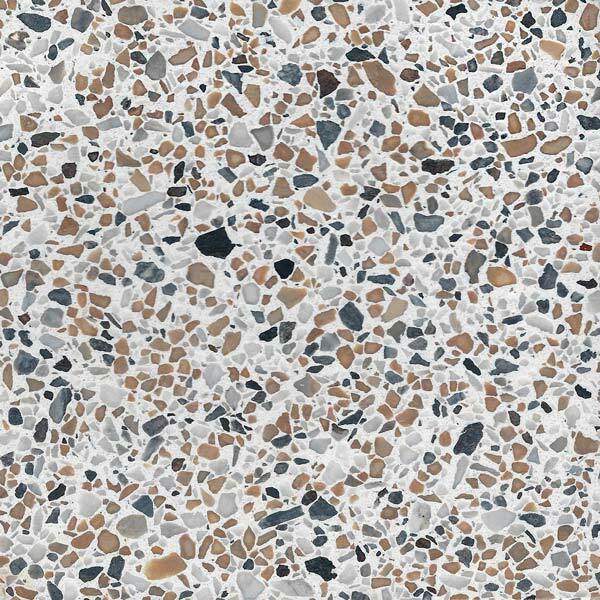 Conditions which may produce these results in specific areas of a floor include consistently heavy foot traffic, heavy objects being rolled or dropped on a floor, construction abuse, and heat or friction produced during the burnishing of a floor.